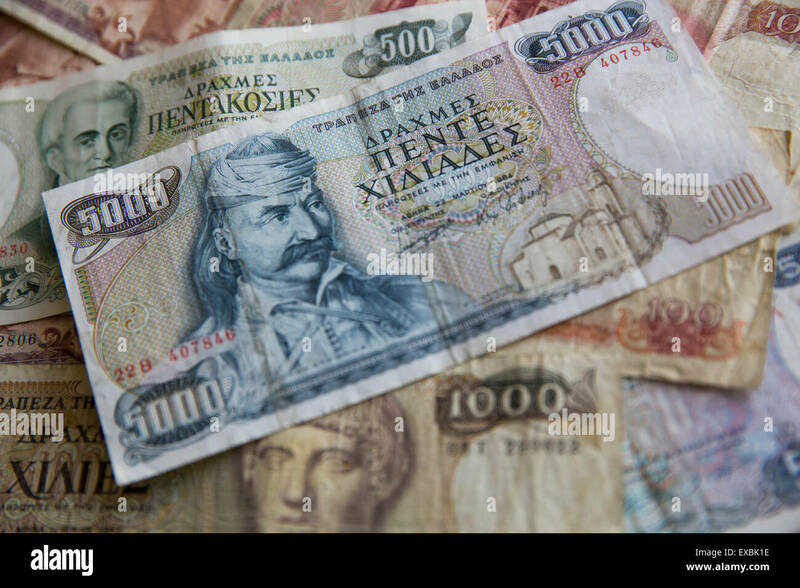 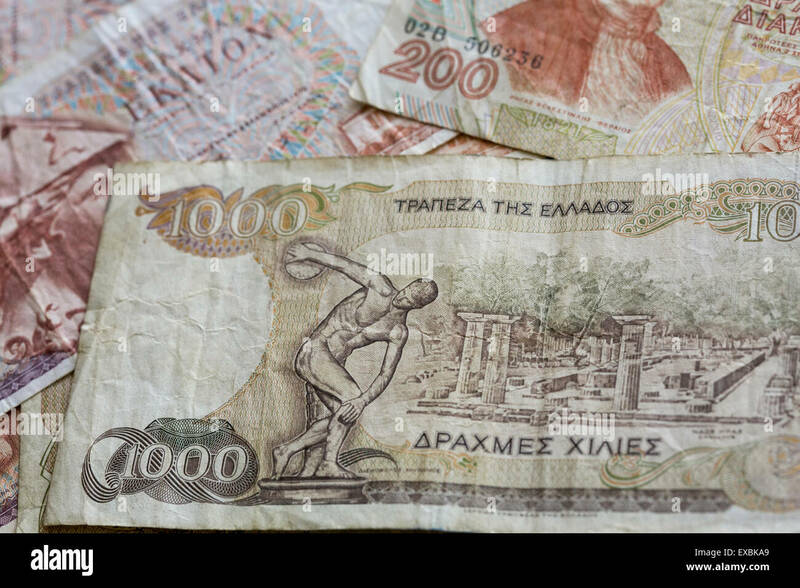 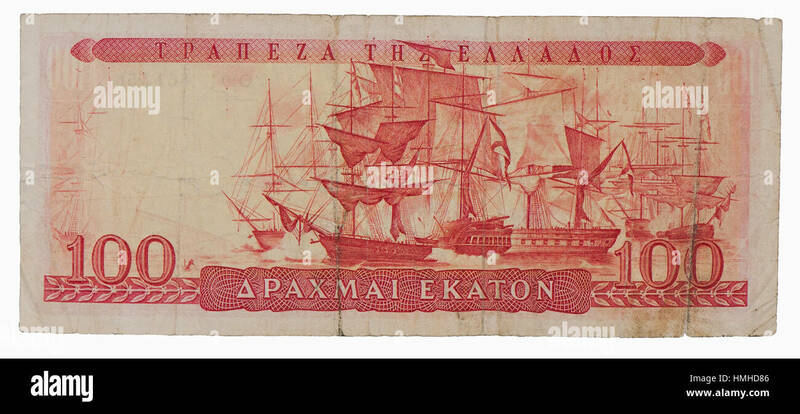 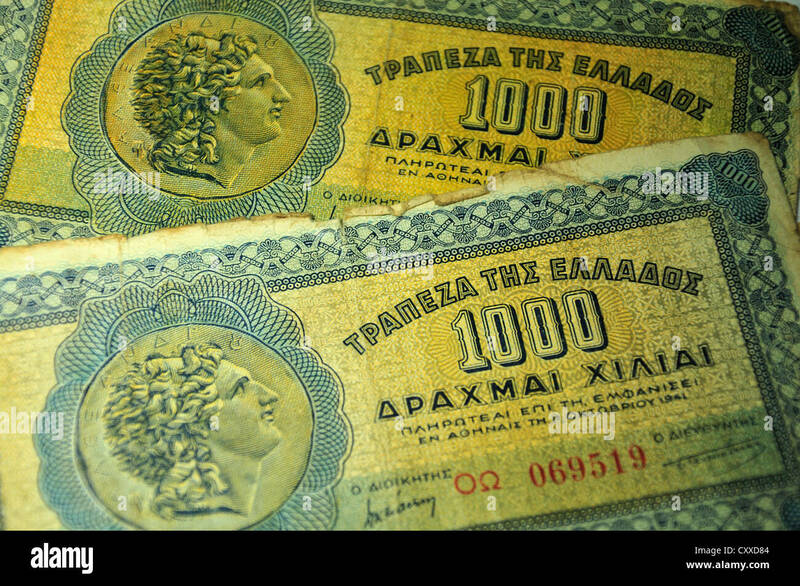 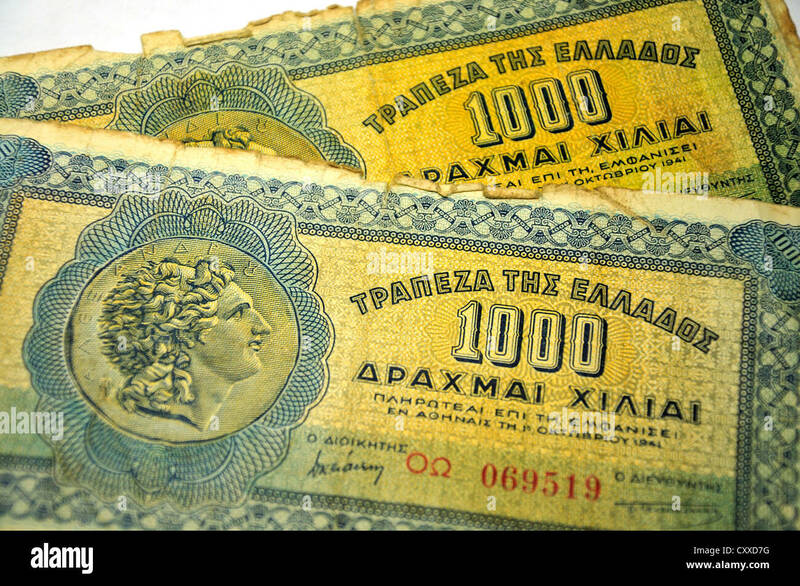 An old 1,000 Greek drachma note from just prior to the switch to the single european currency. 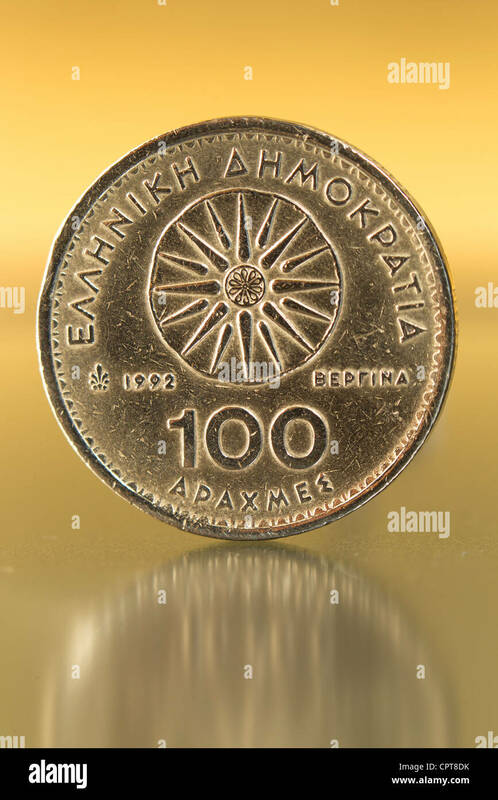 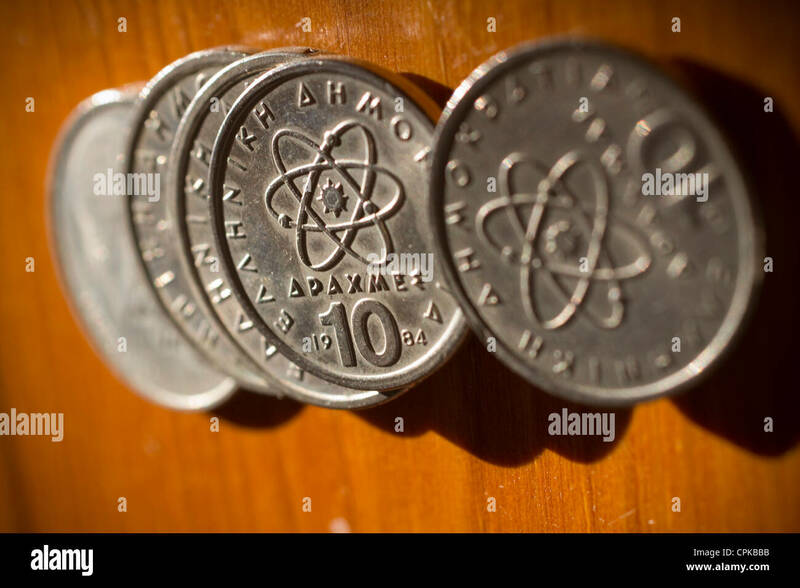 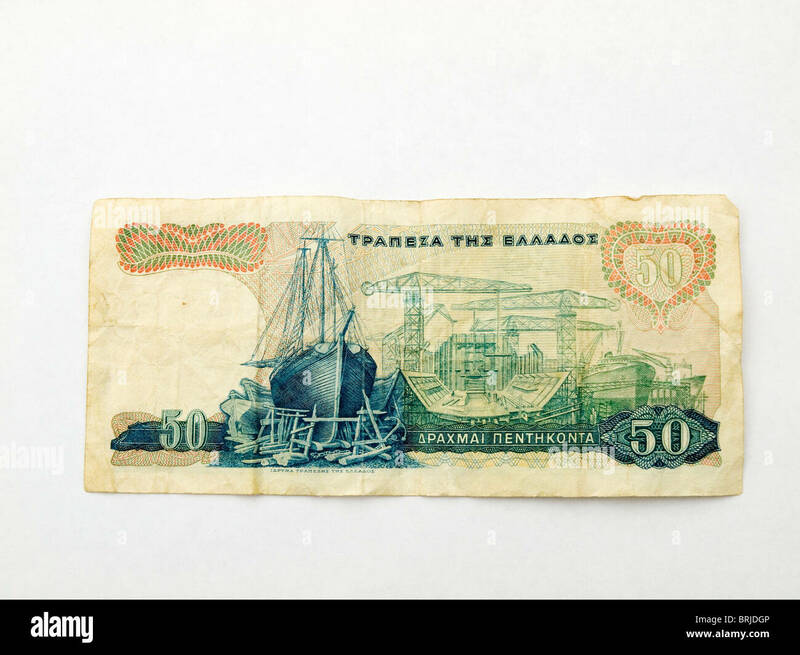 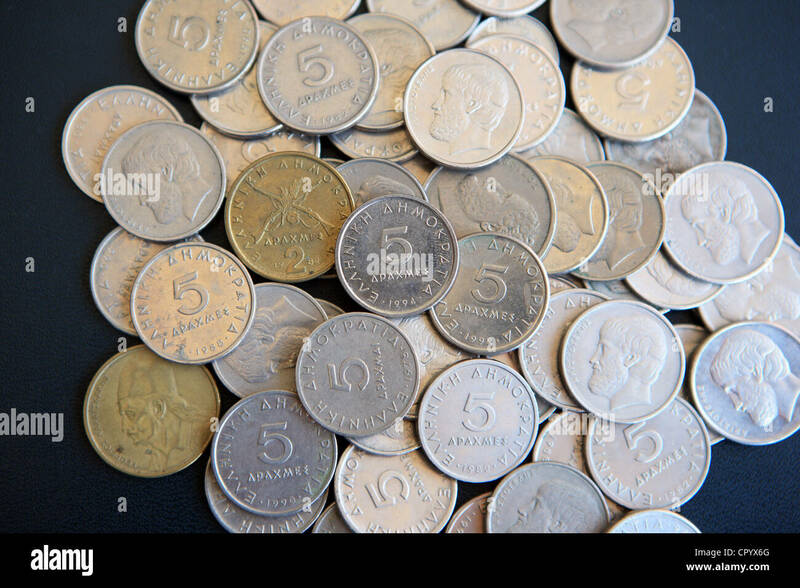 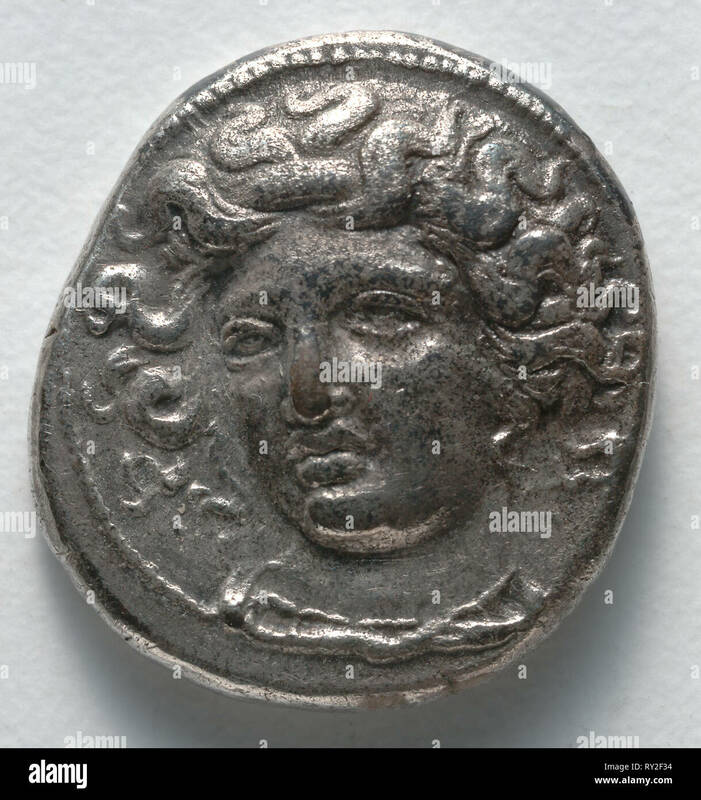 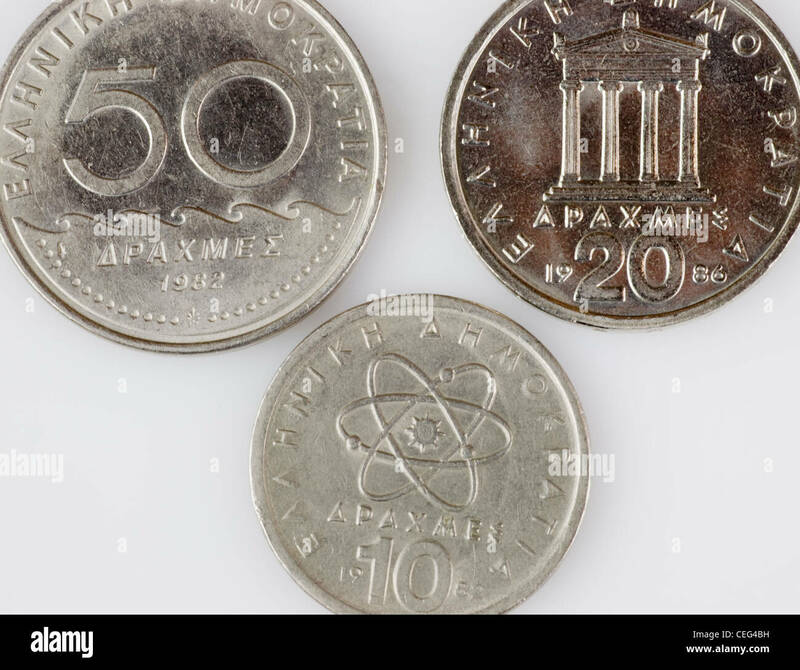 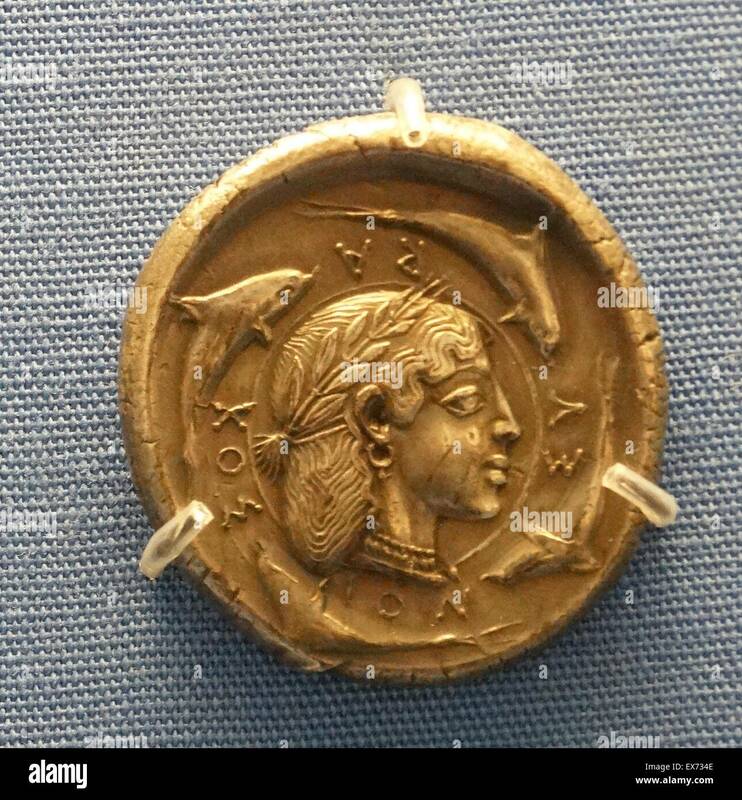 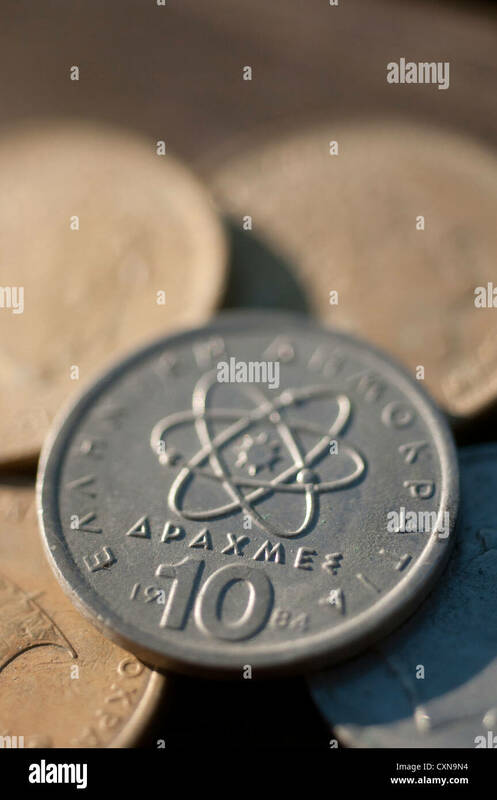 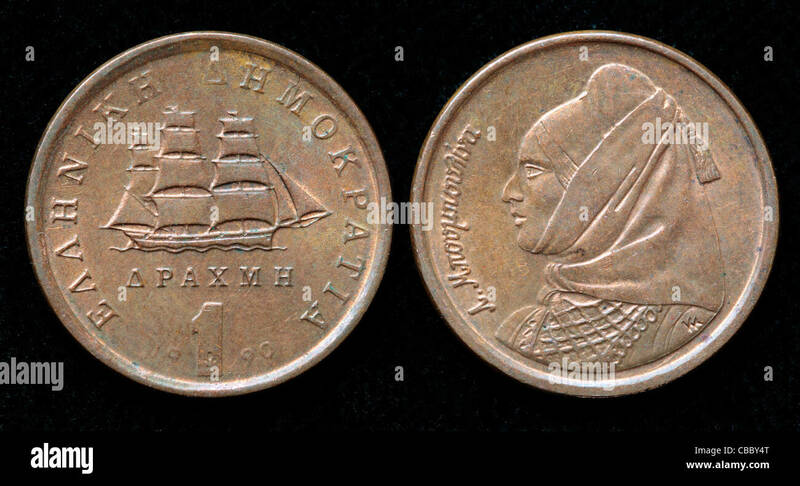 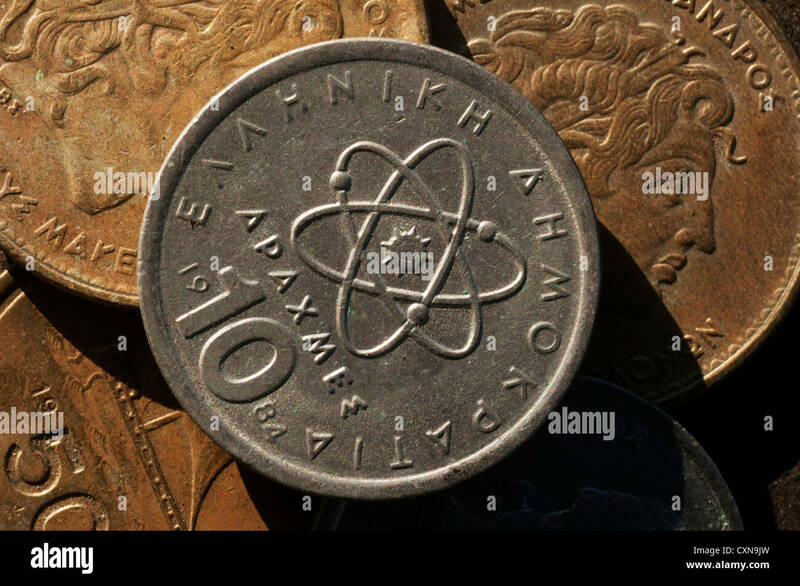 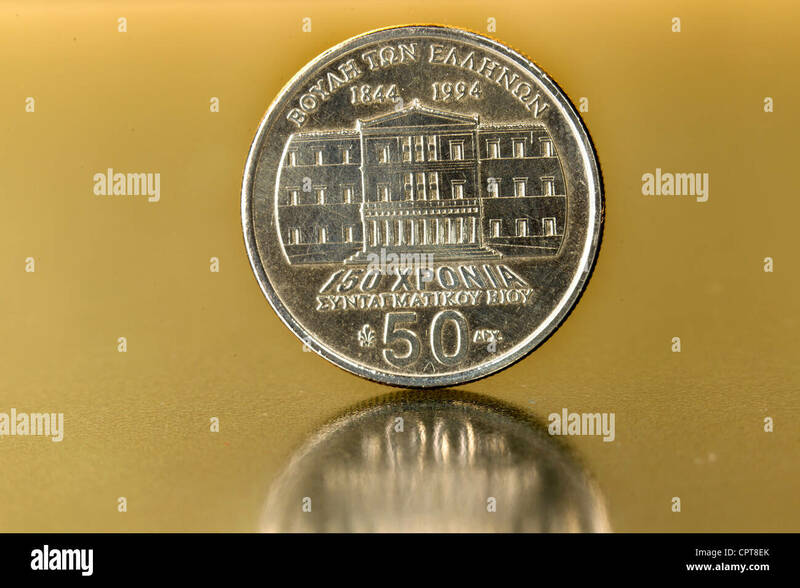 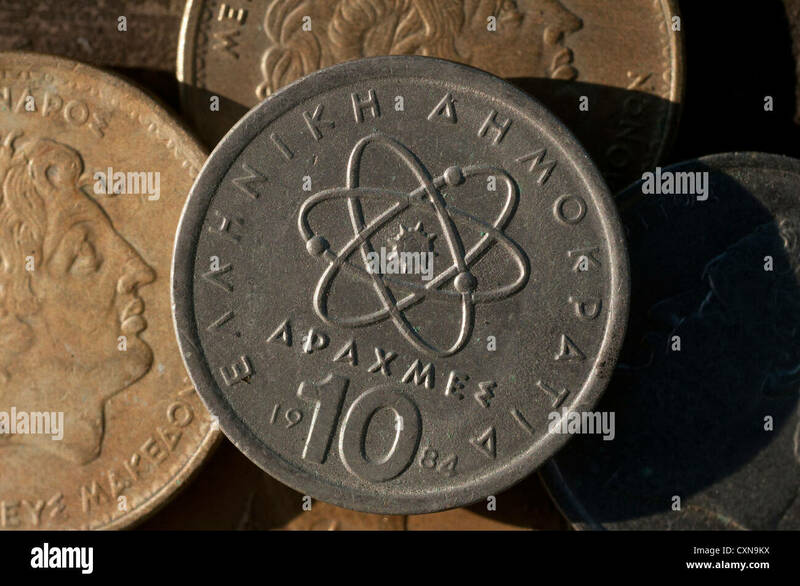 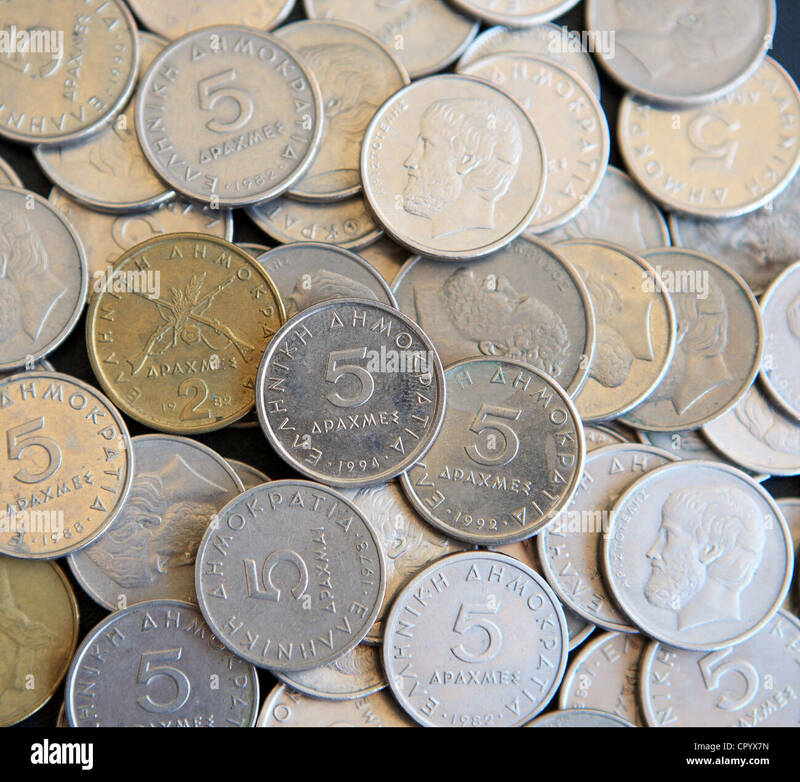 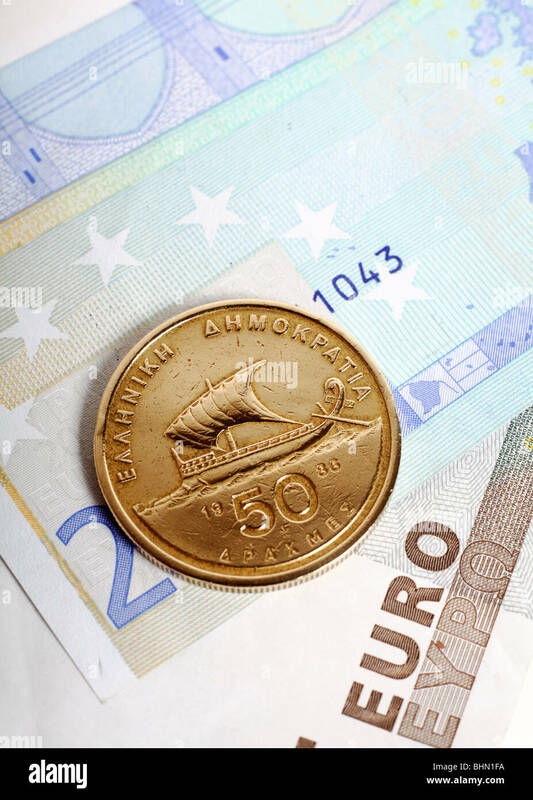 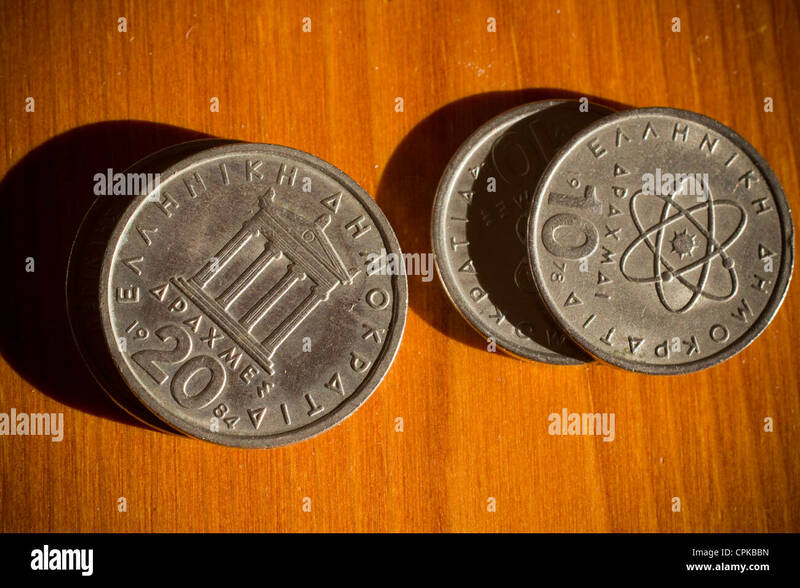 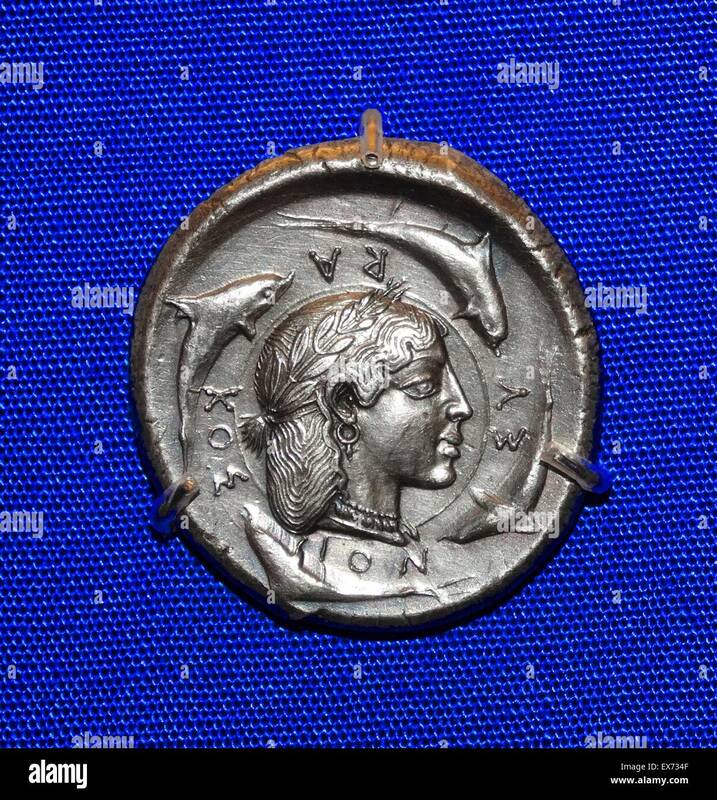 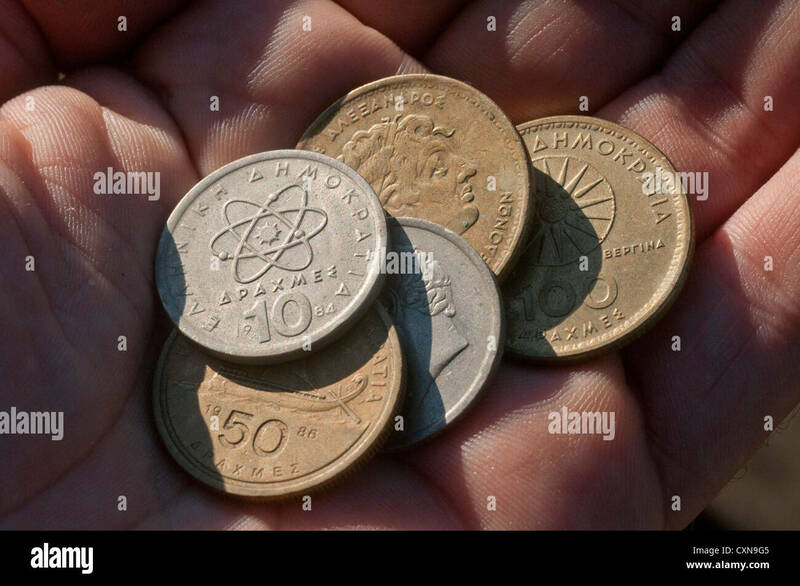 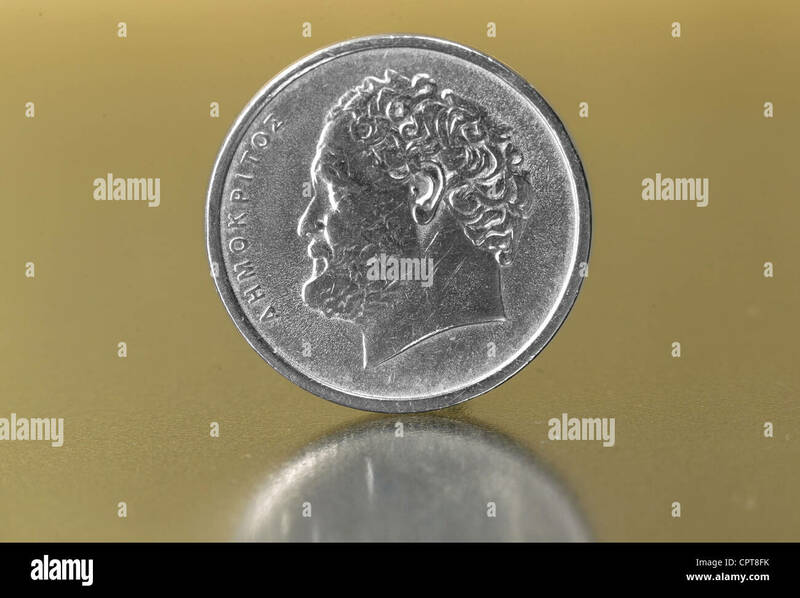 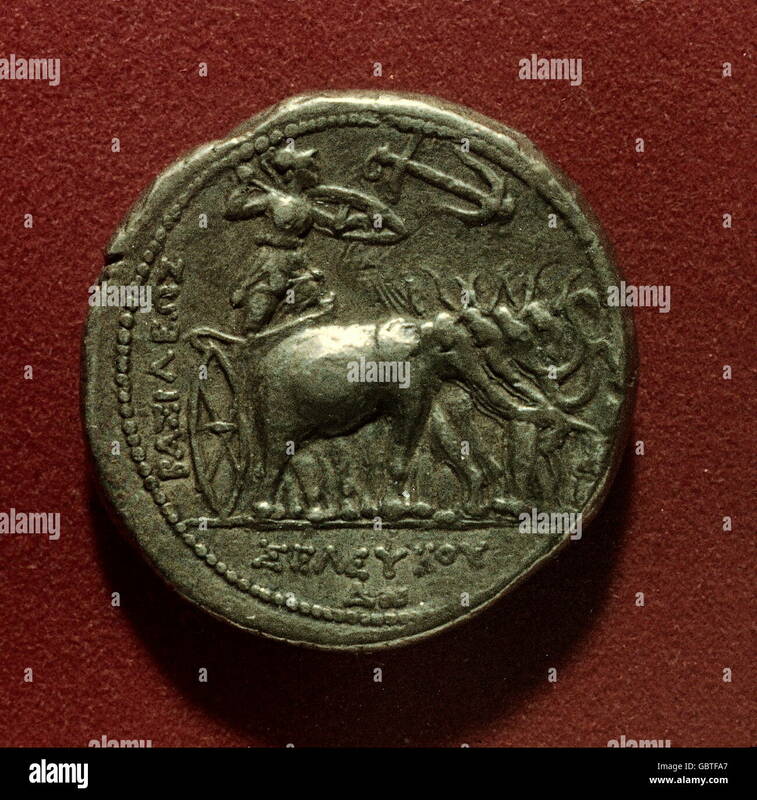 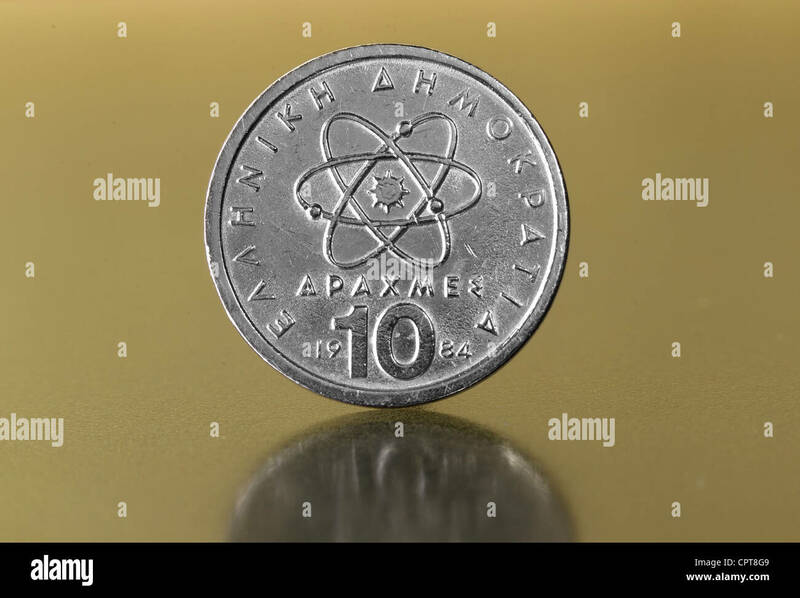 A fifty drachma coin on euro notes which replaced the currency. 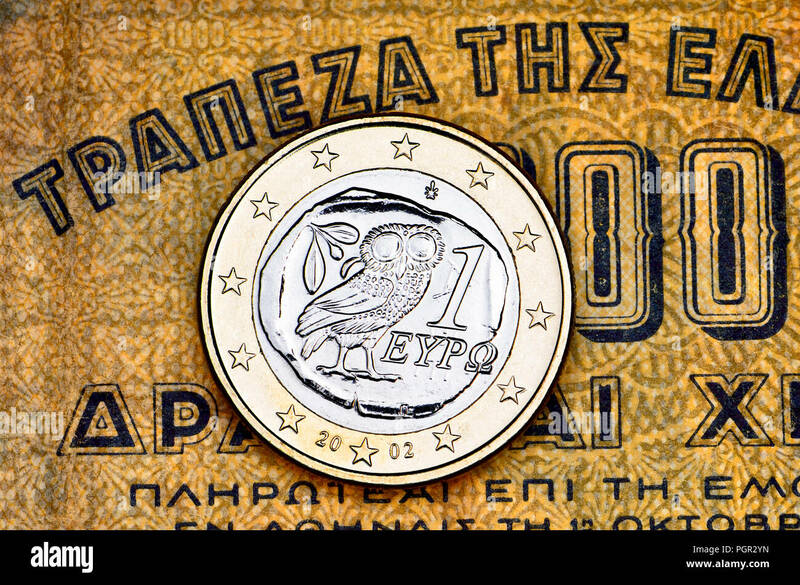 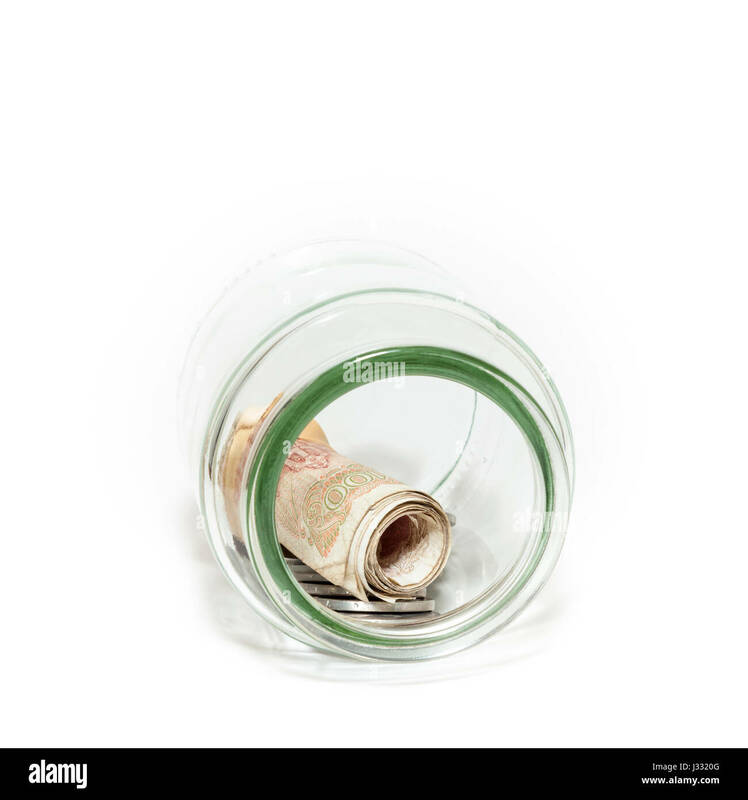 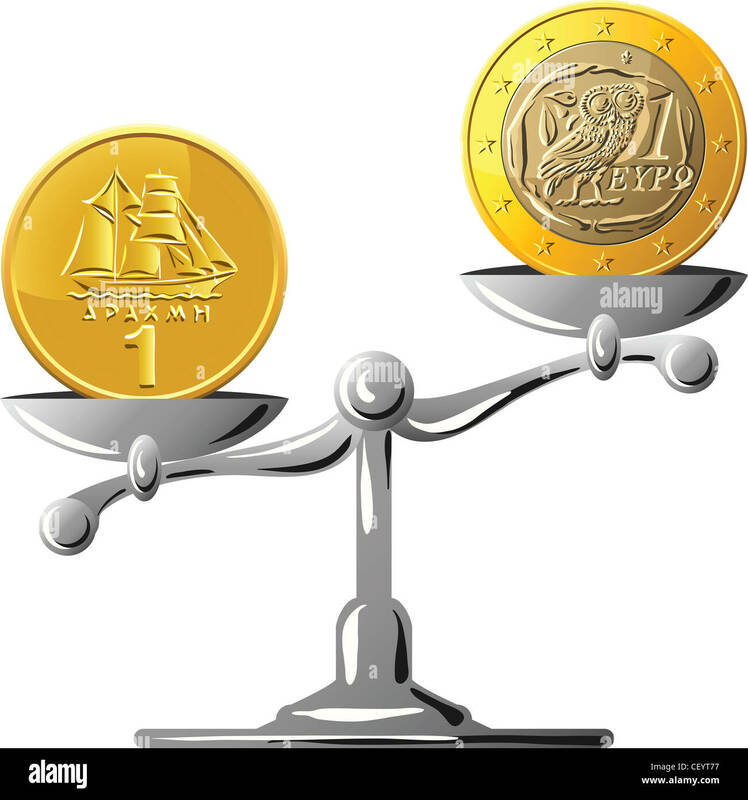 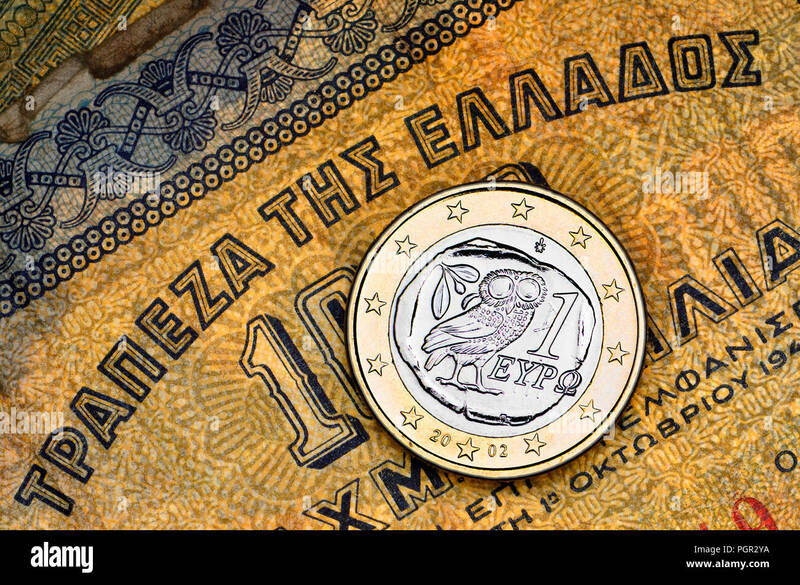 Greece's economic woes are seen as a threat to the euro. 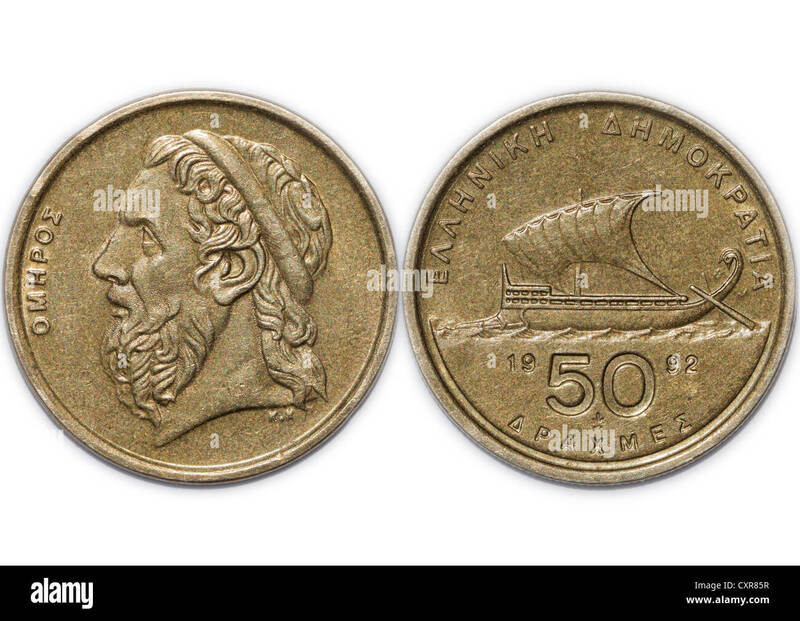 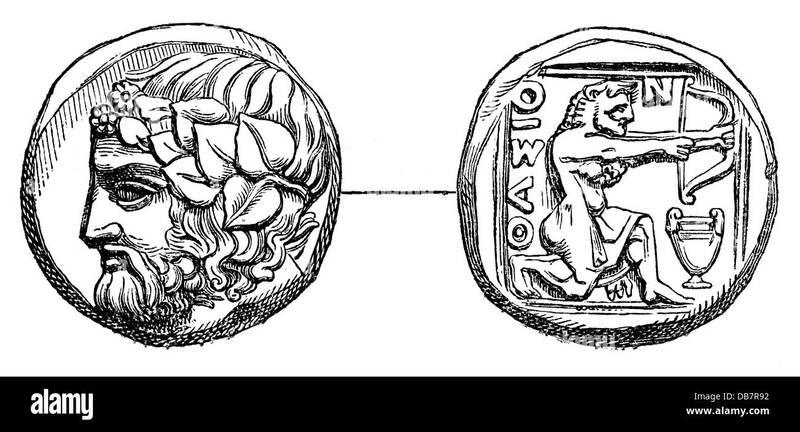 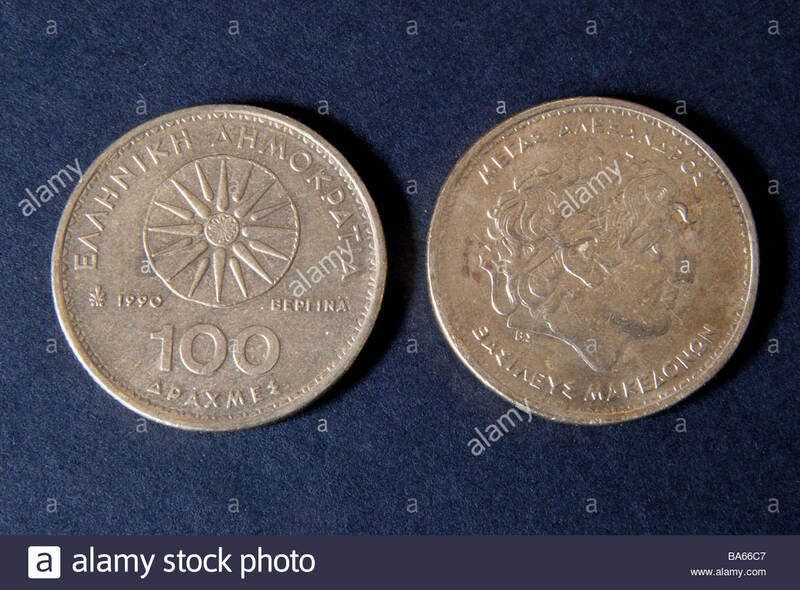 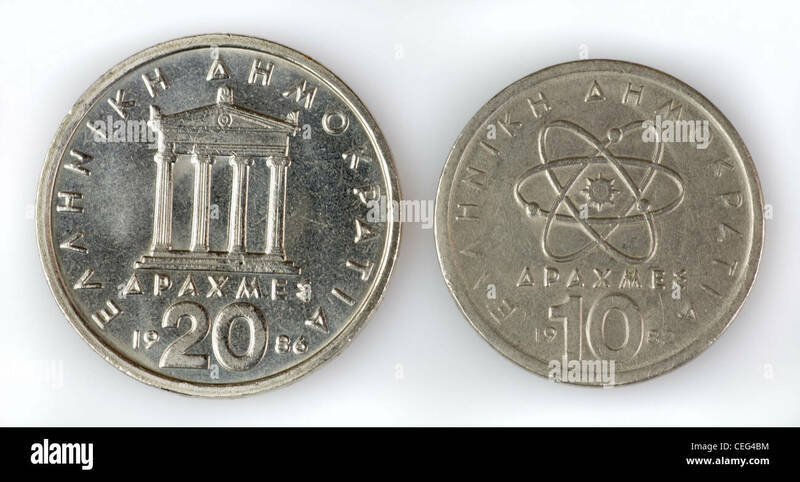 Front and rear of Greek 100 drachma coins. 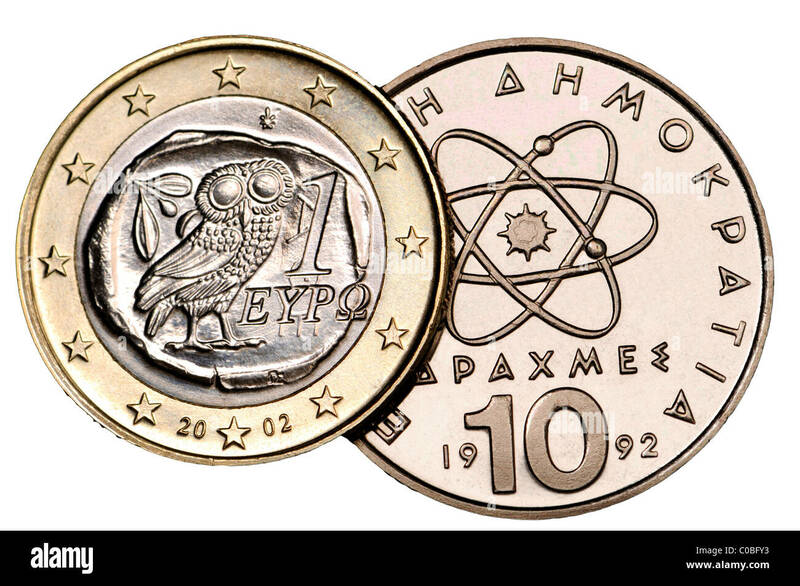 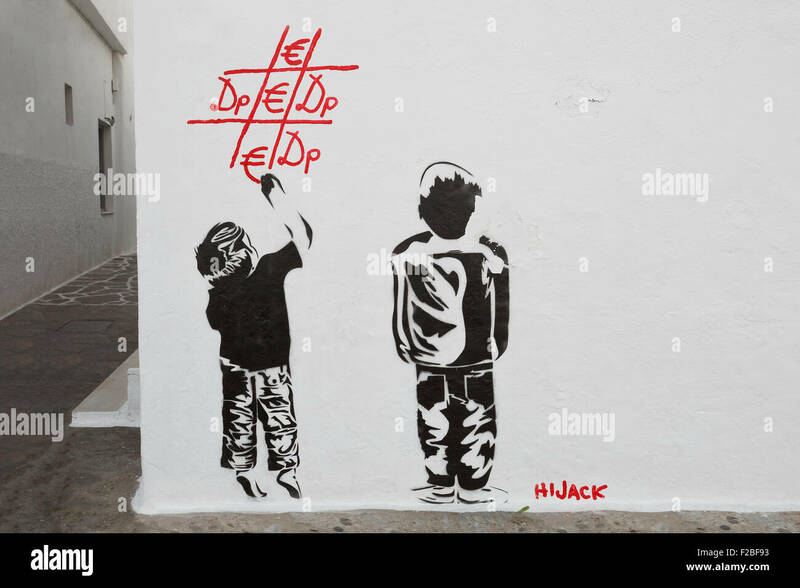 7 December 2011 Athens Greece. 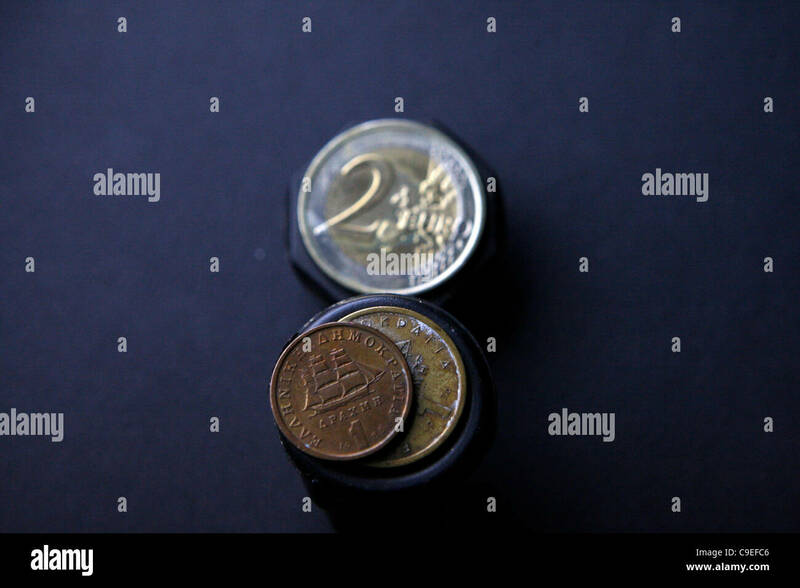 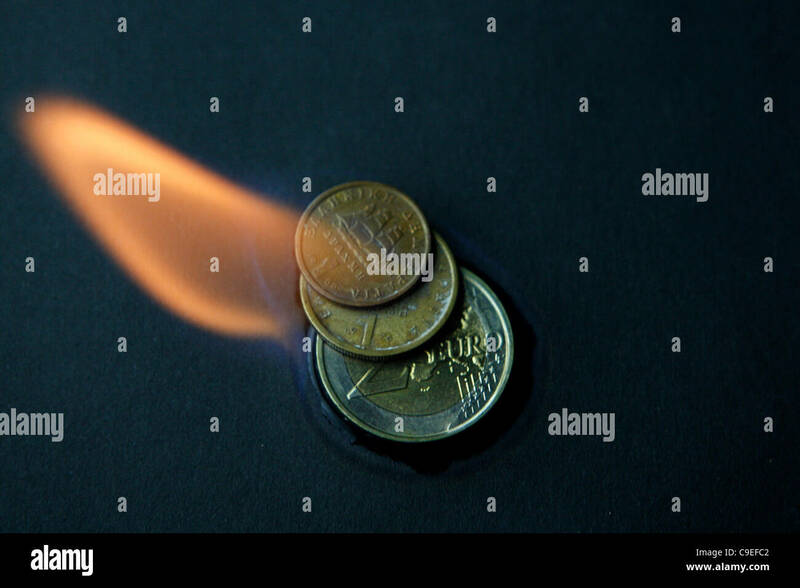 Euro Zone Crisis. 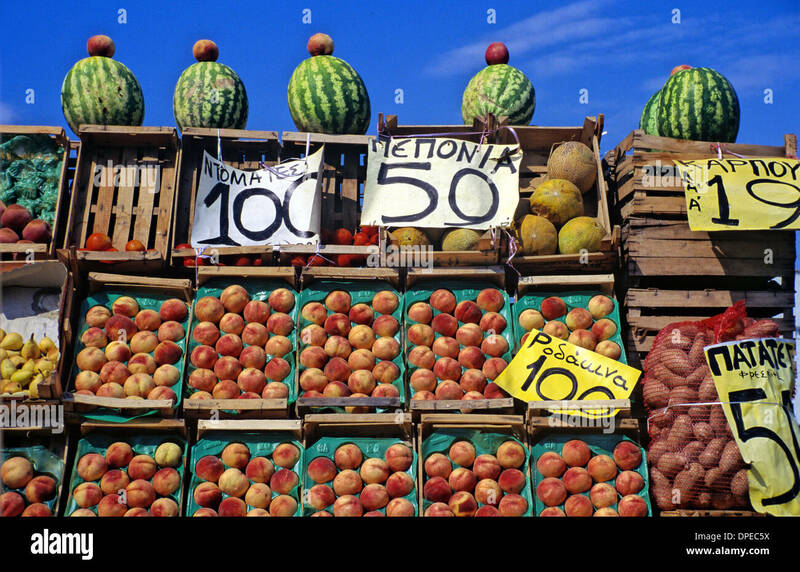 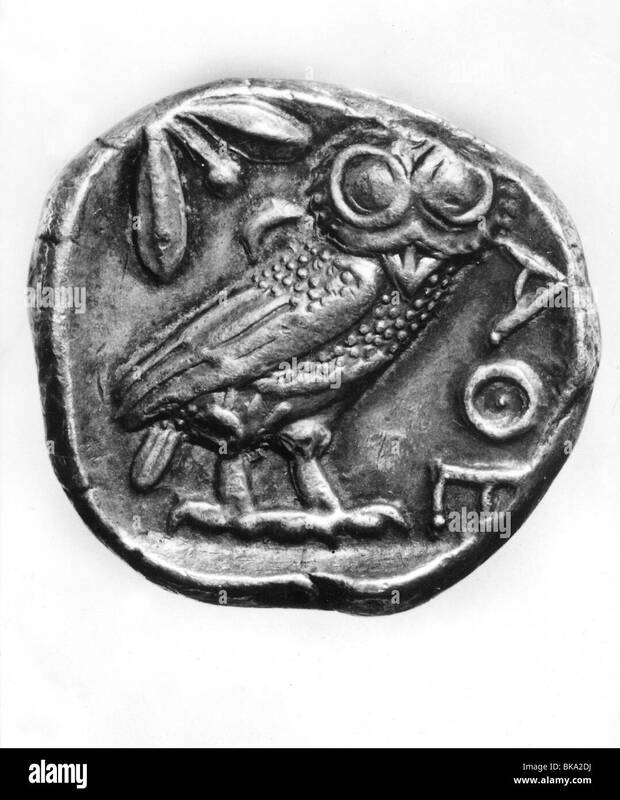 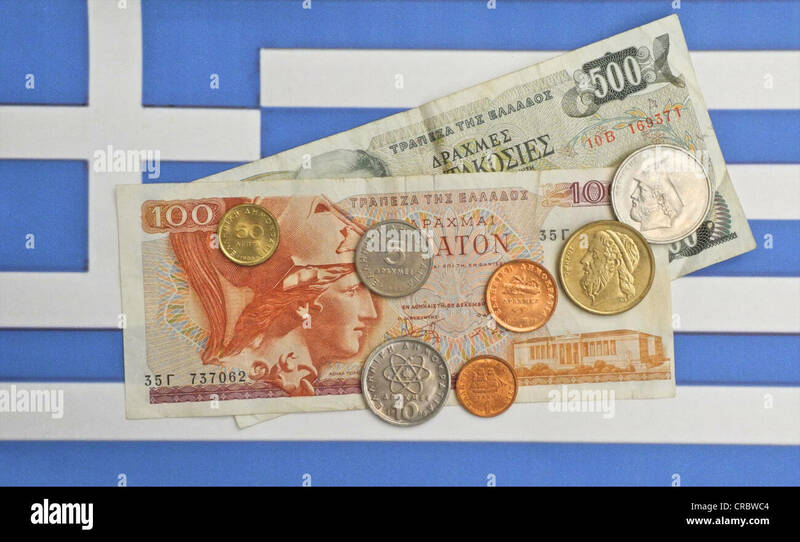 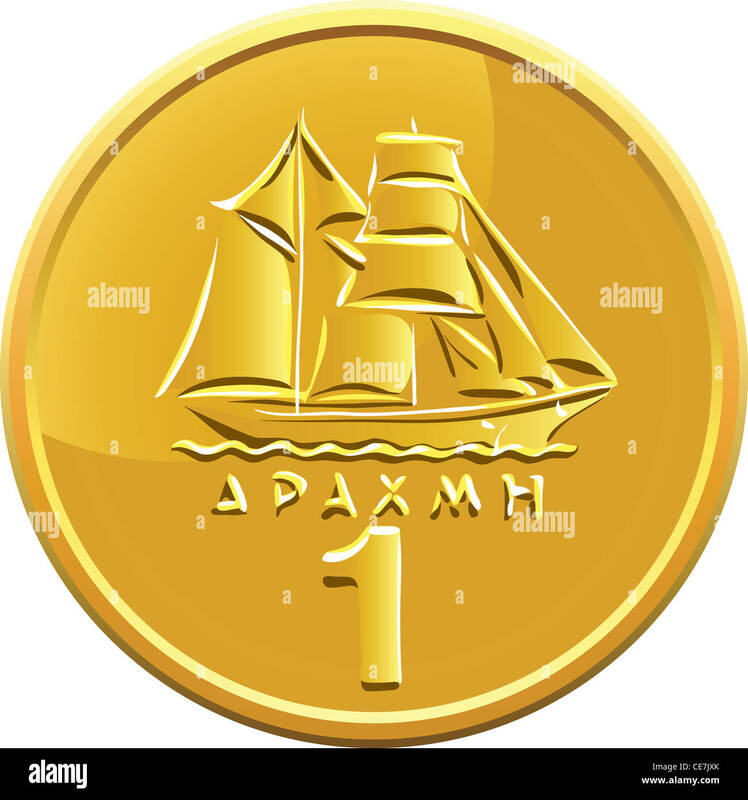 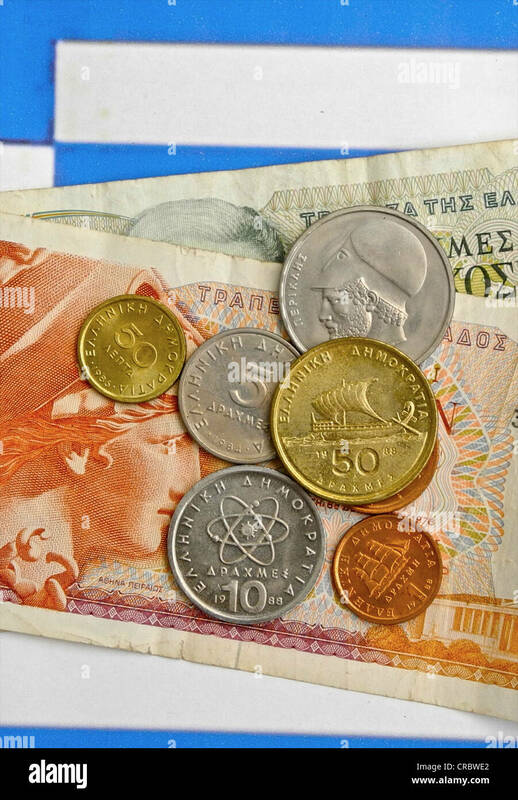 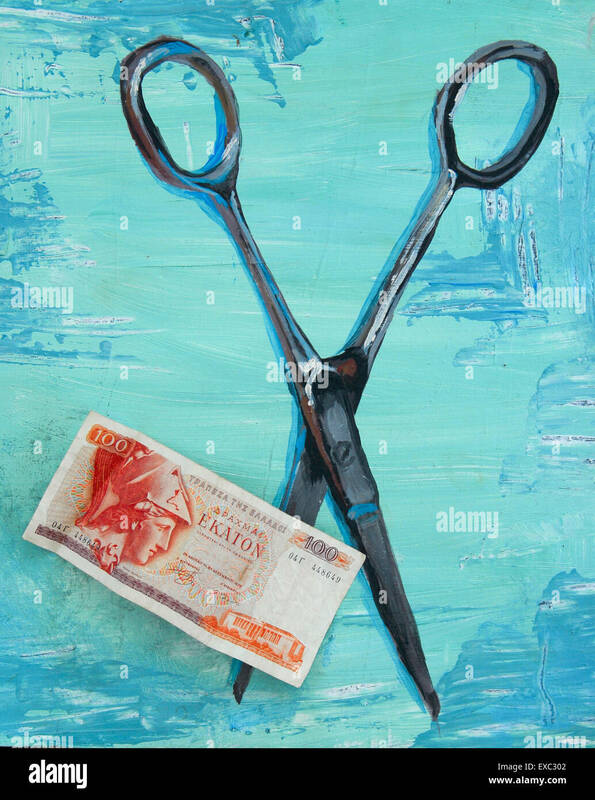 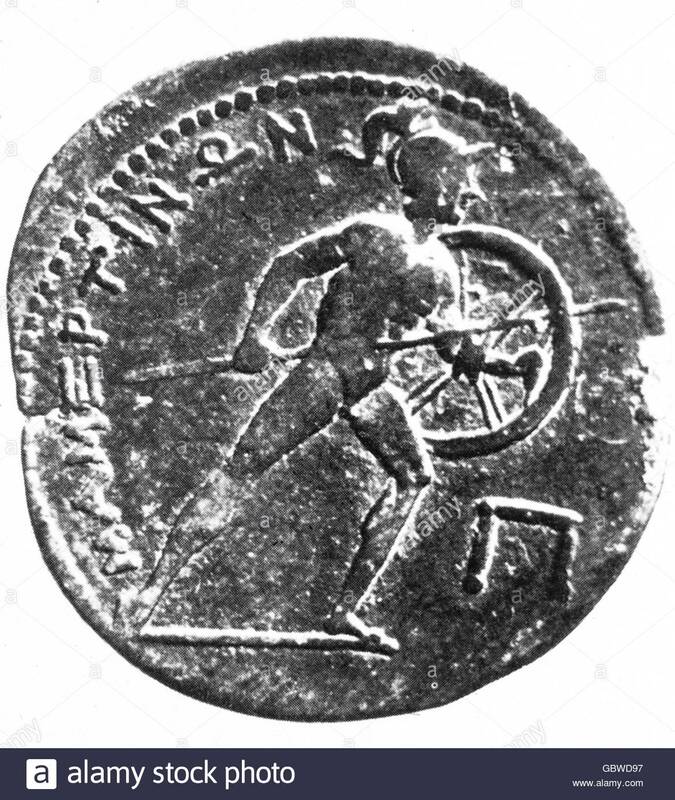 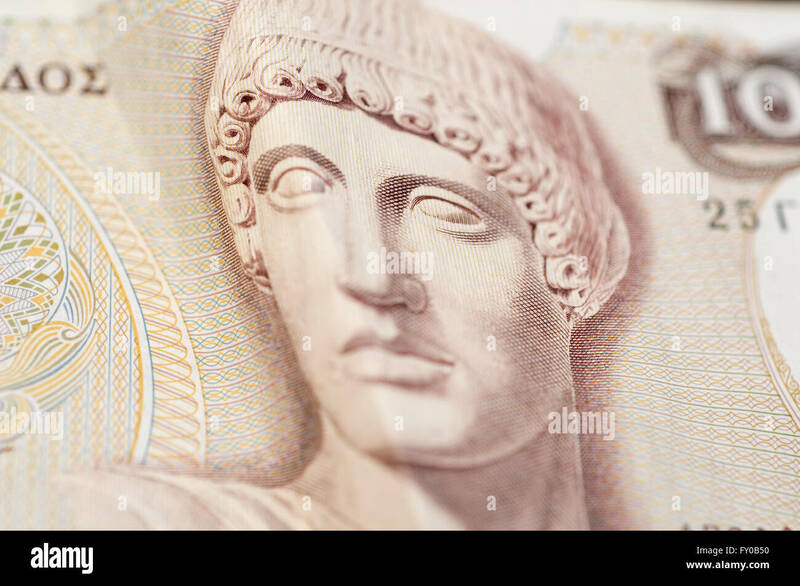 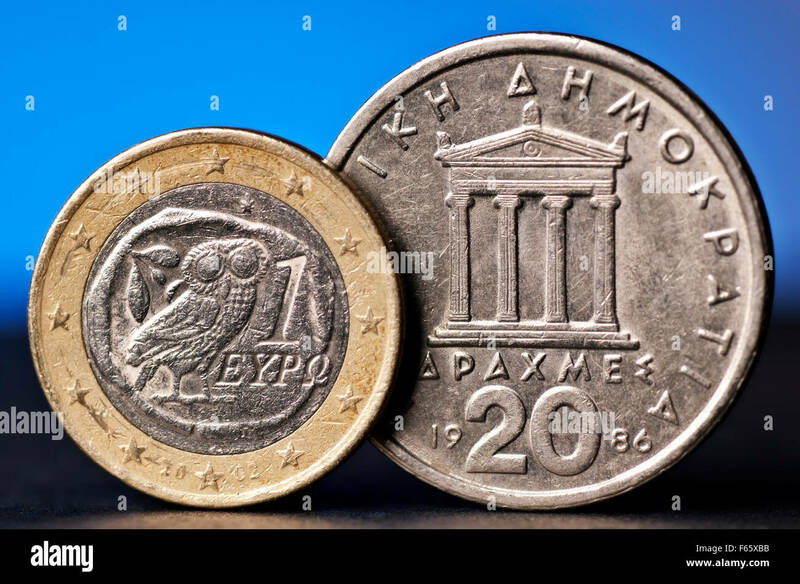 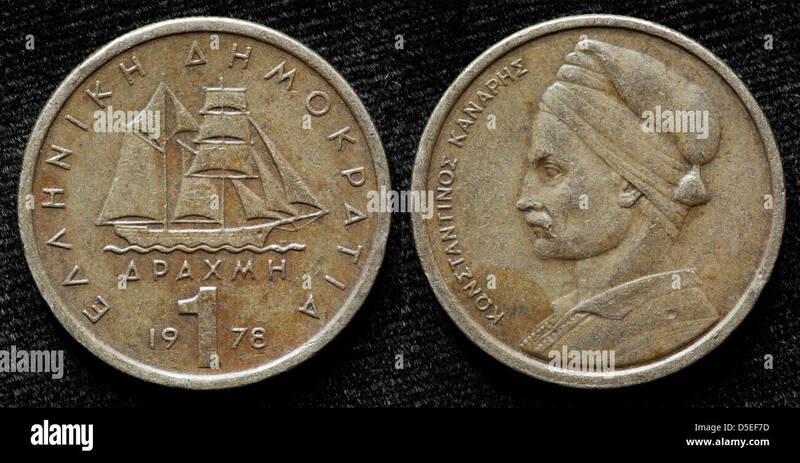 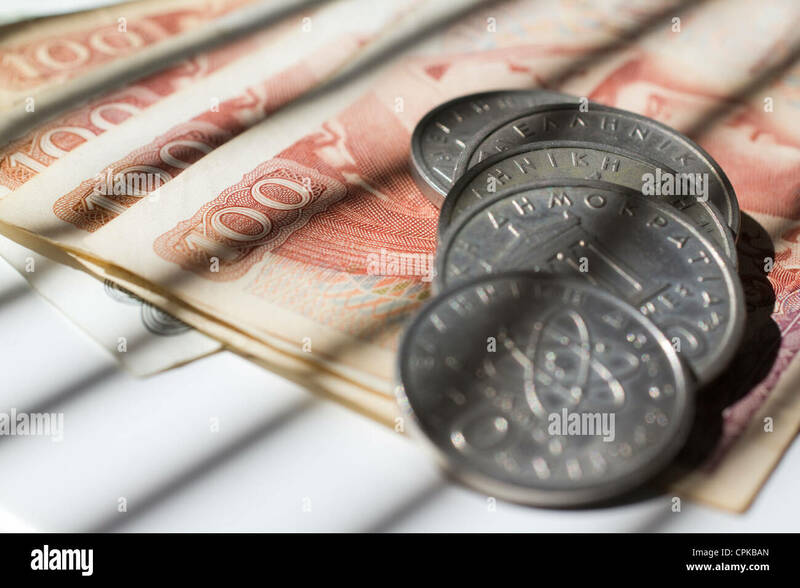 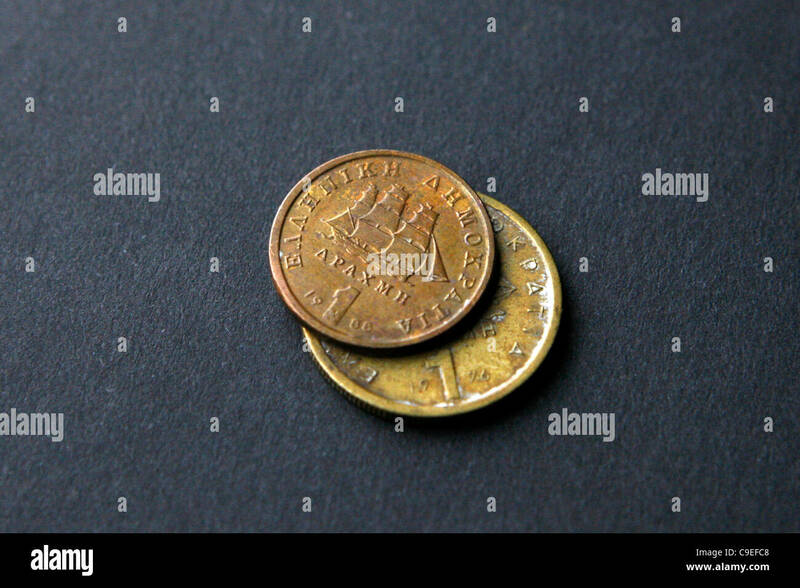 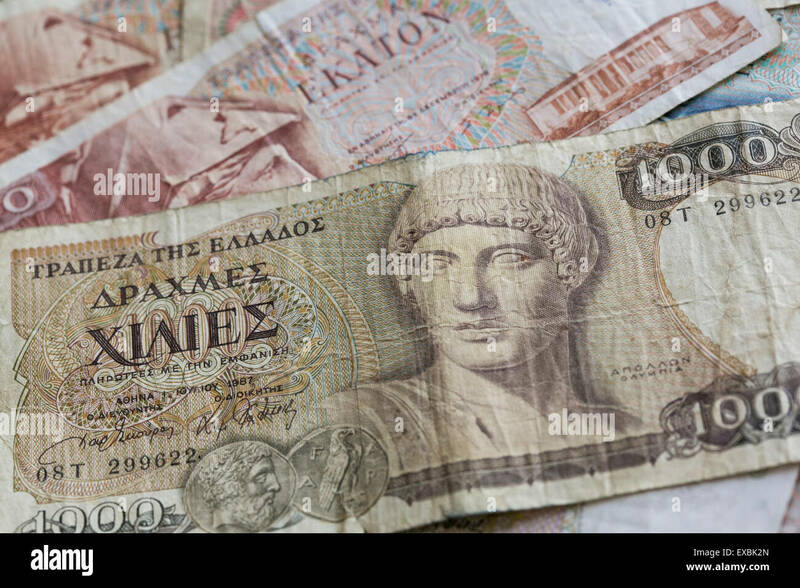 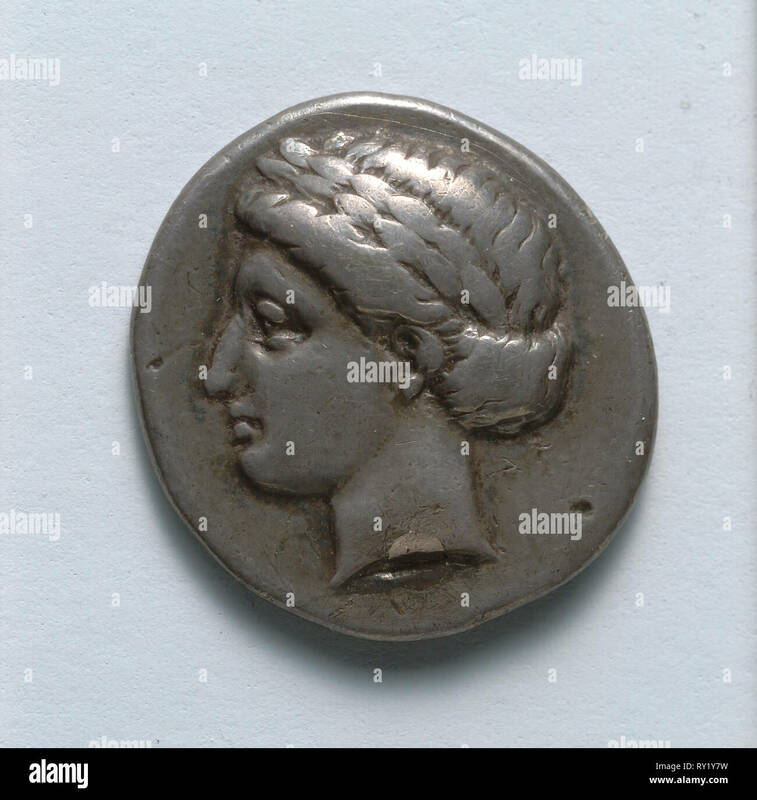 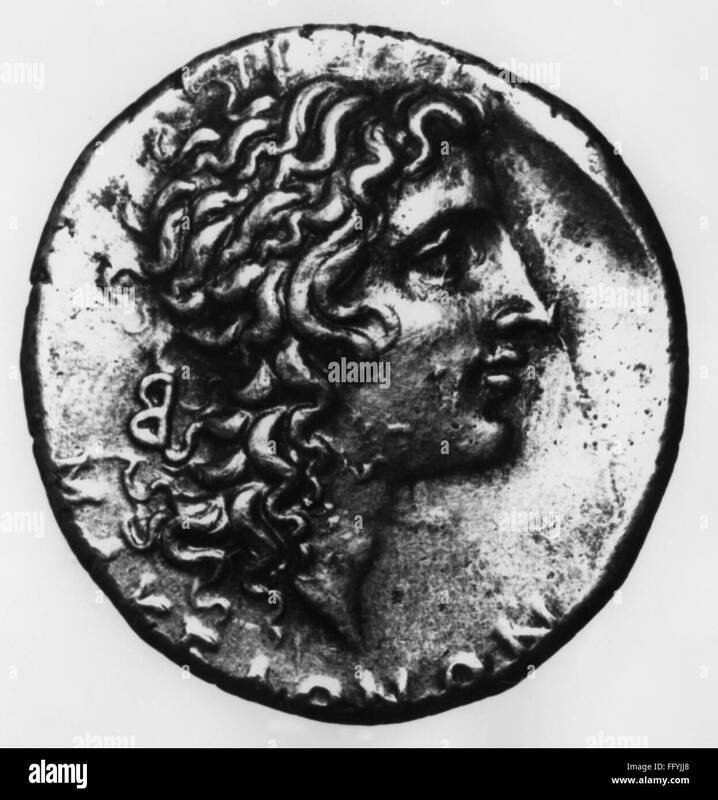 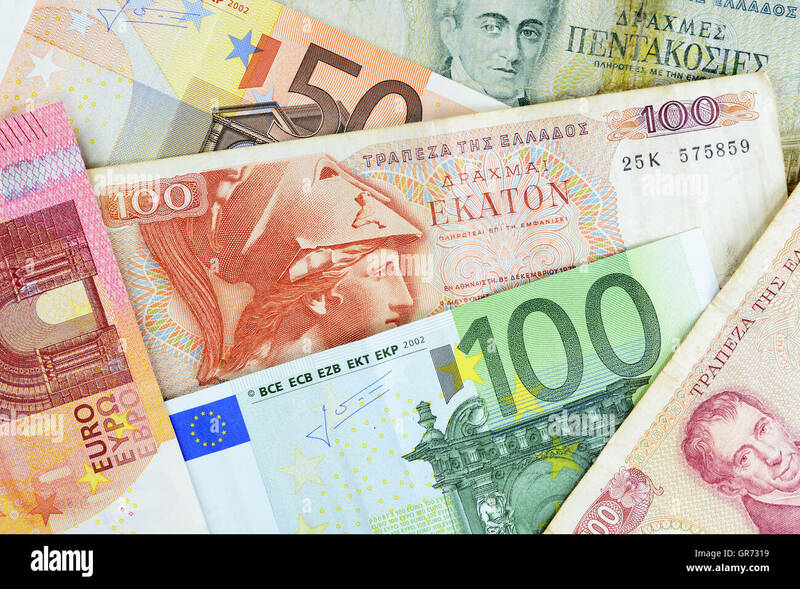 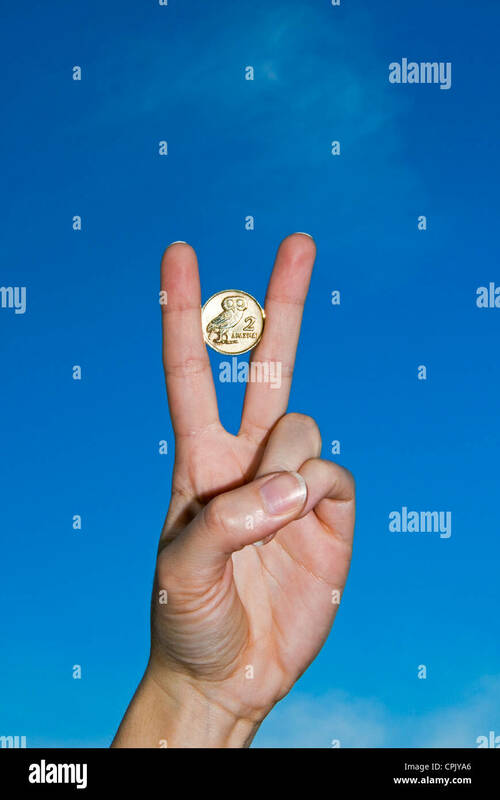 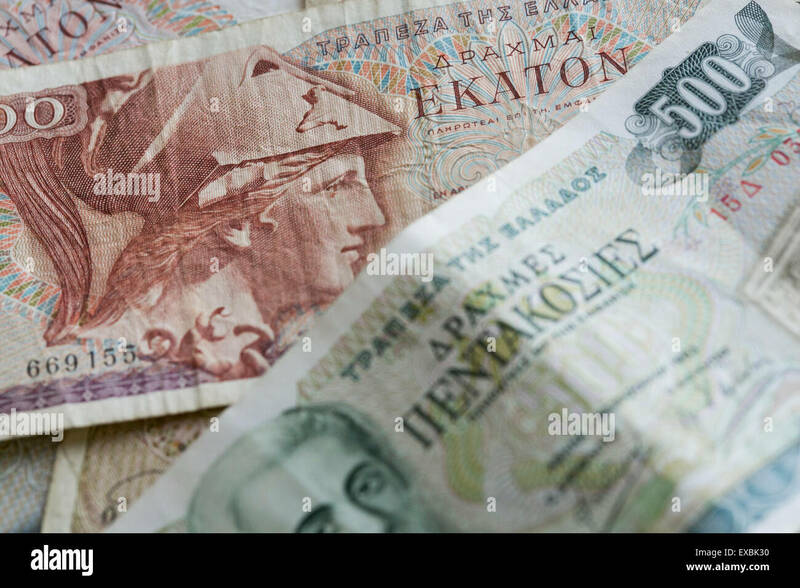 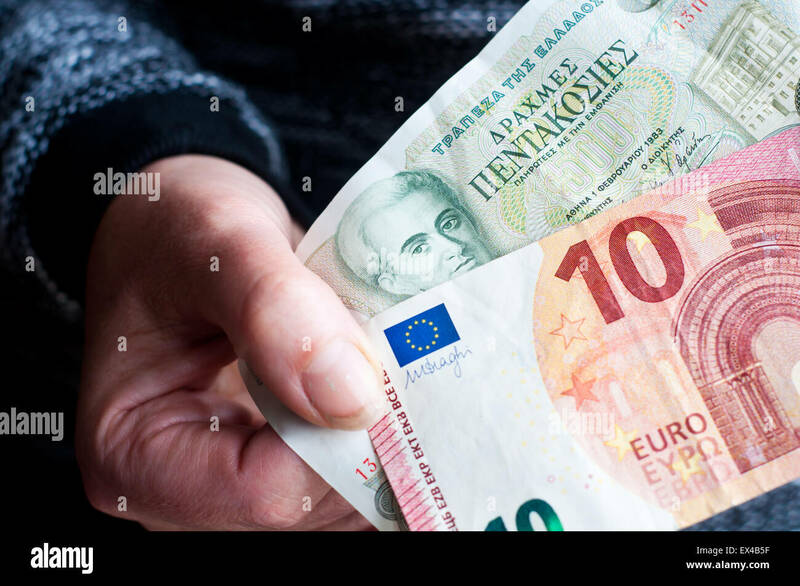 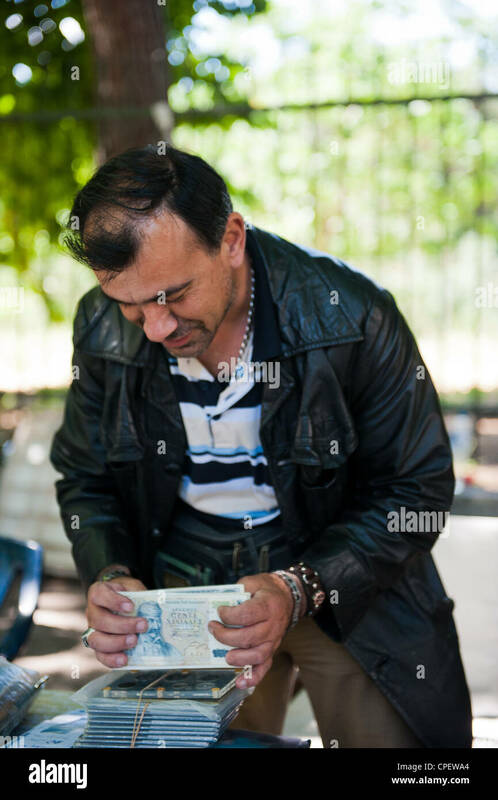 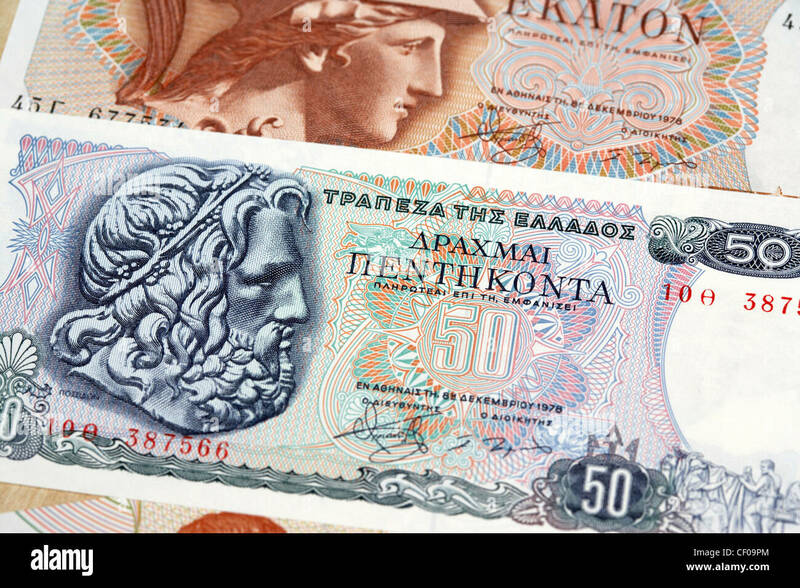 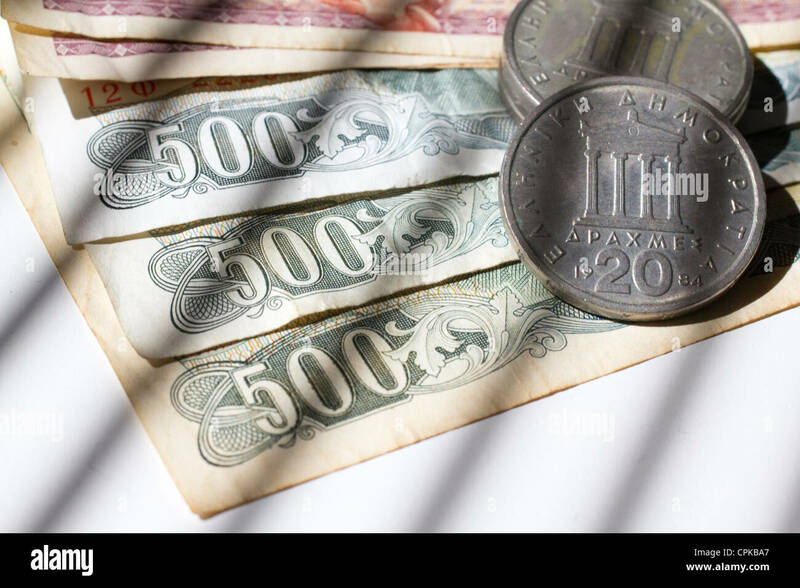 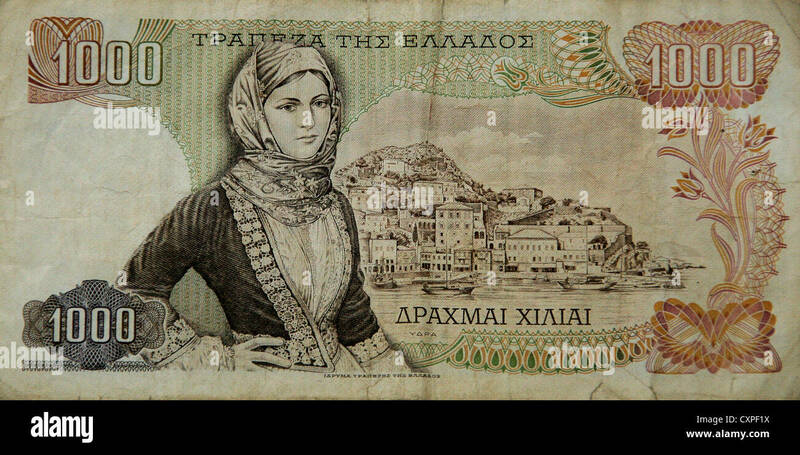 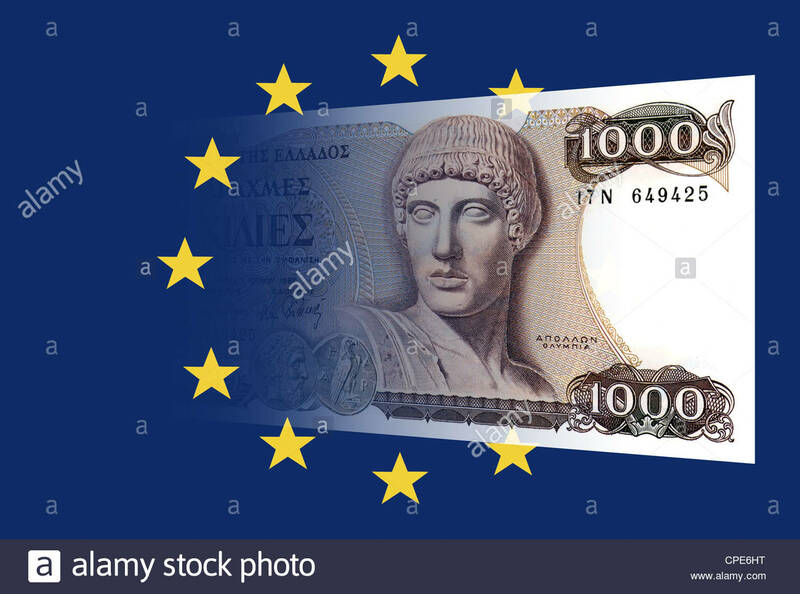 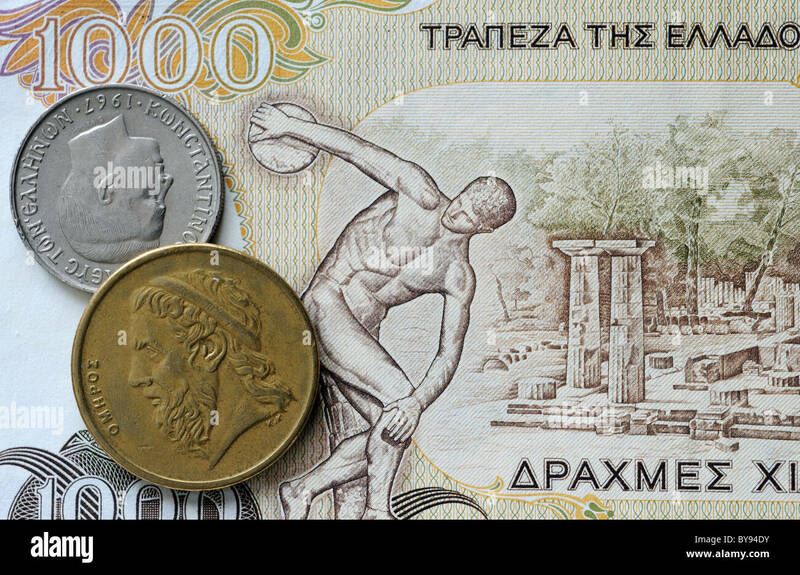 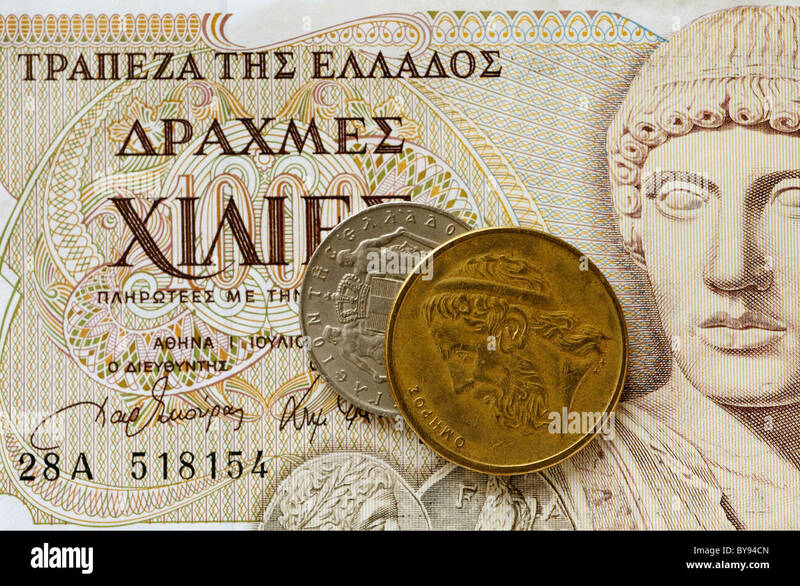 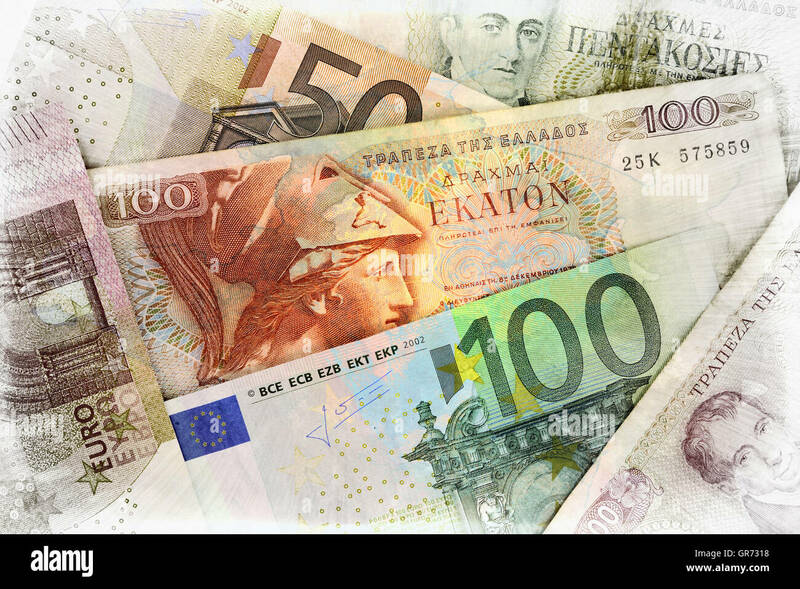 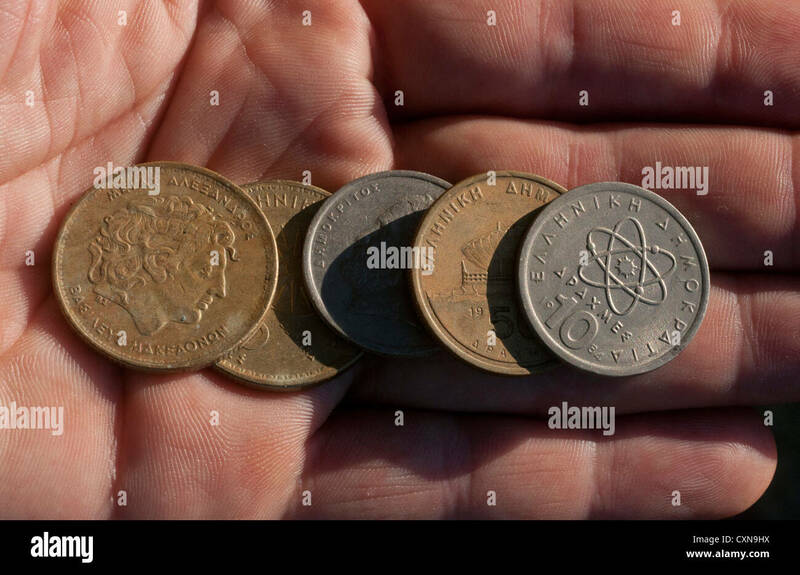 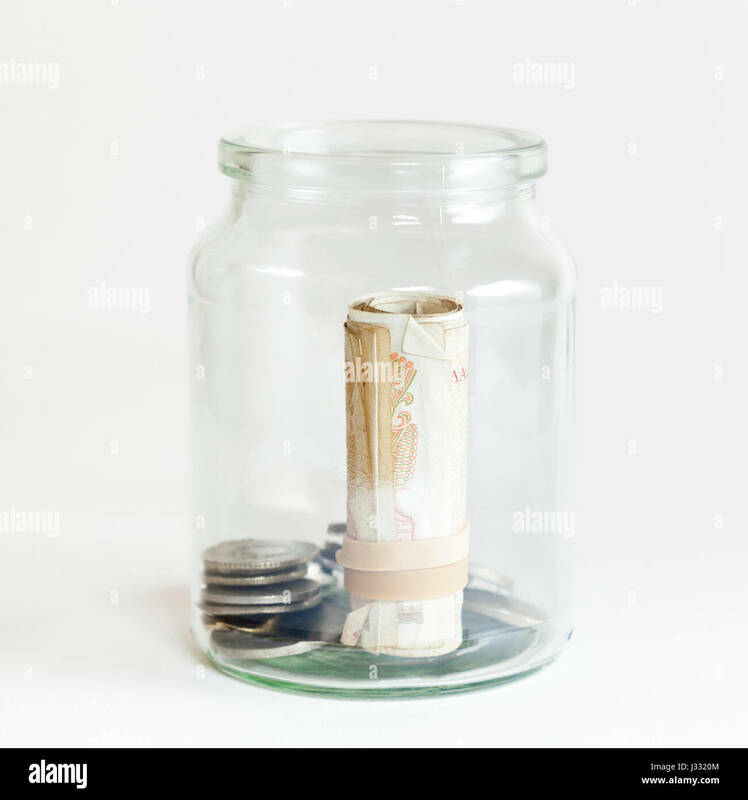 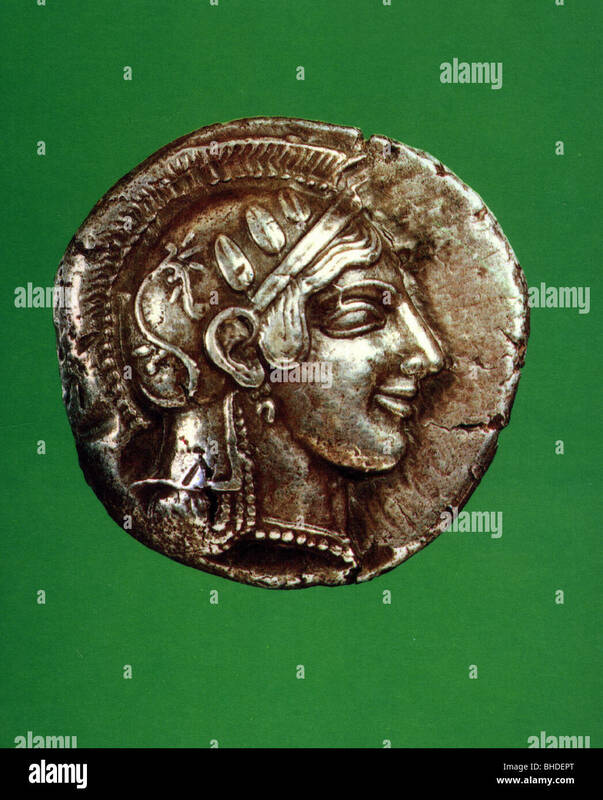 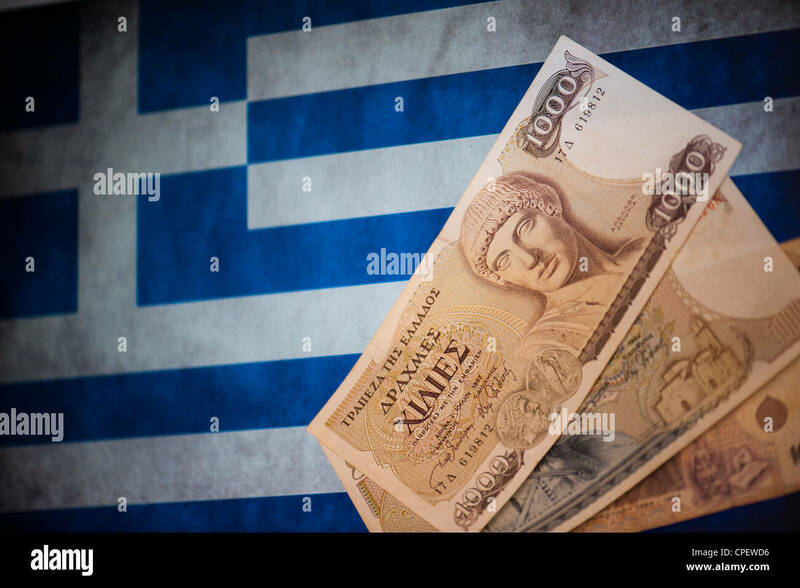 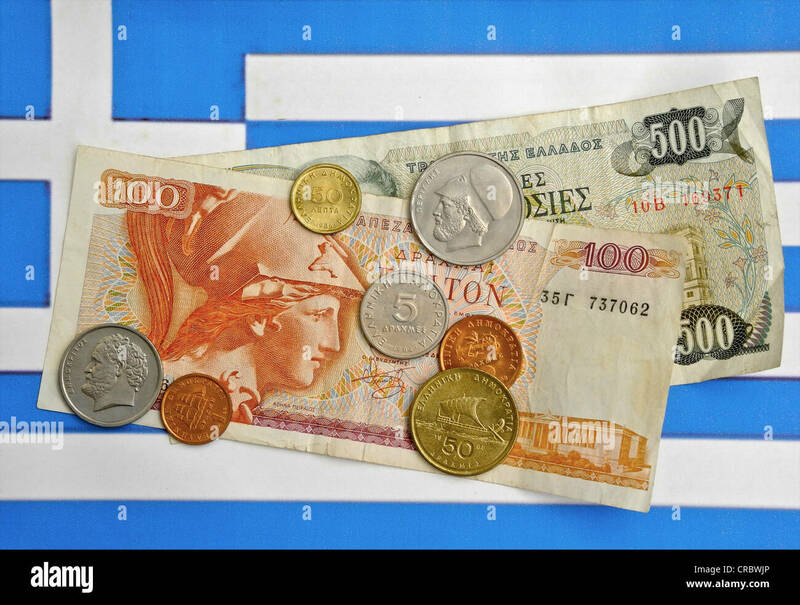 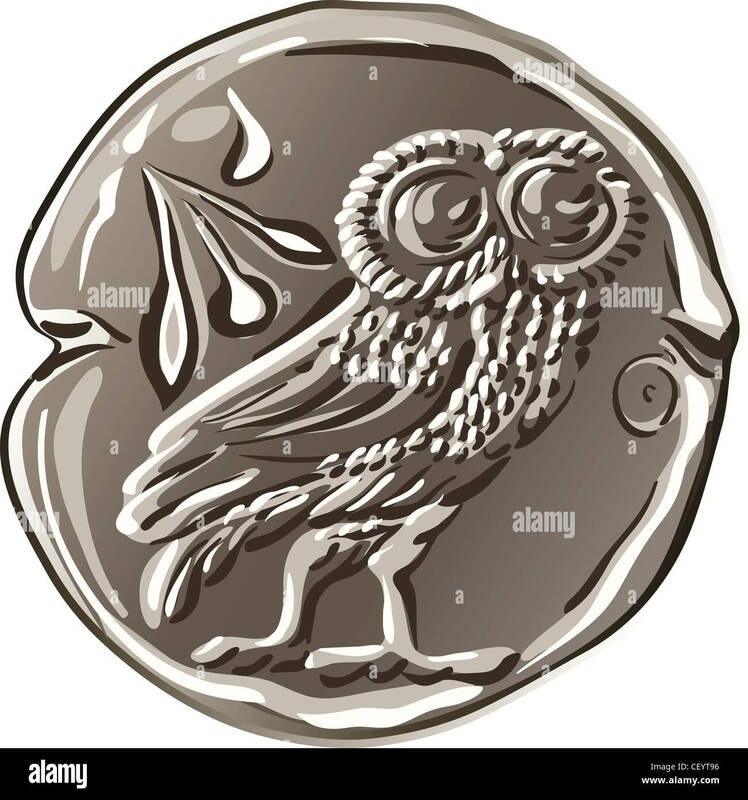 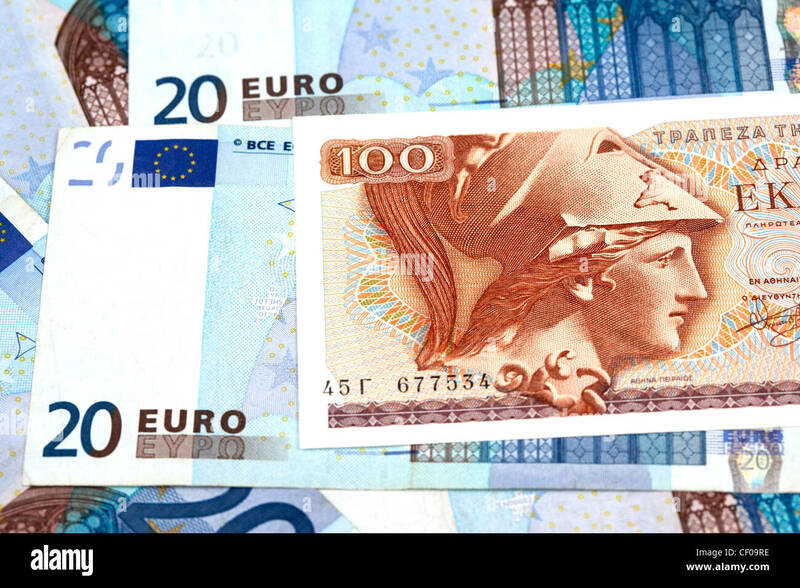 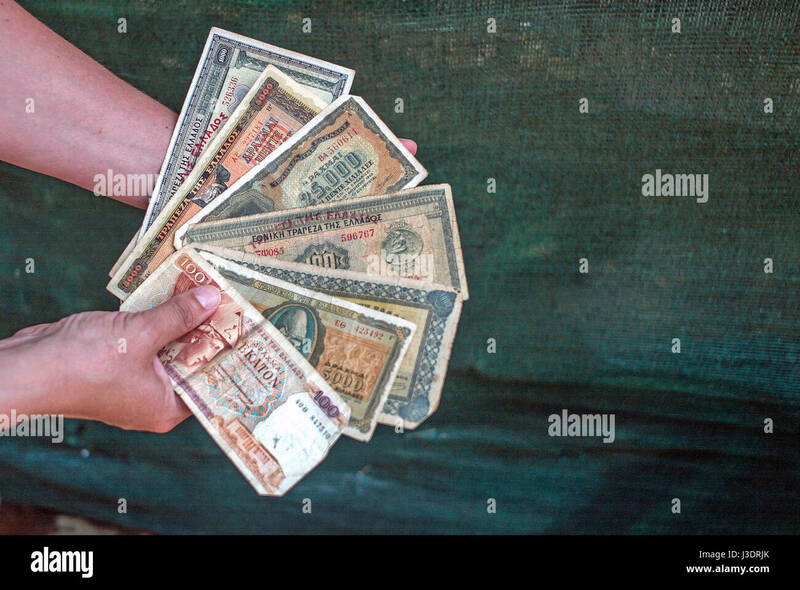 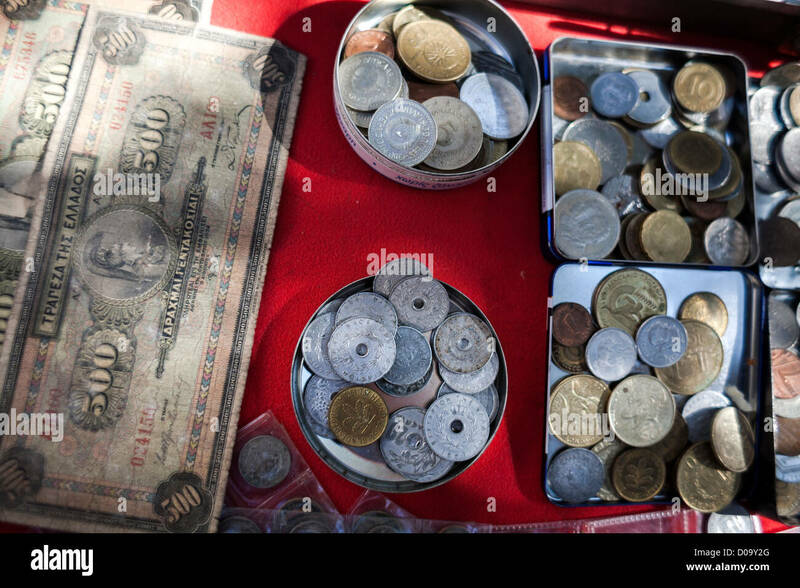 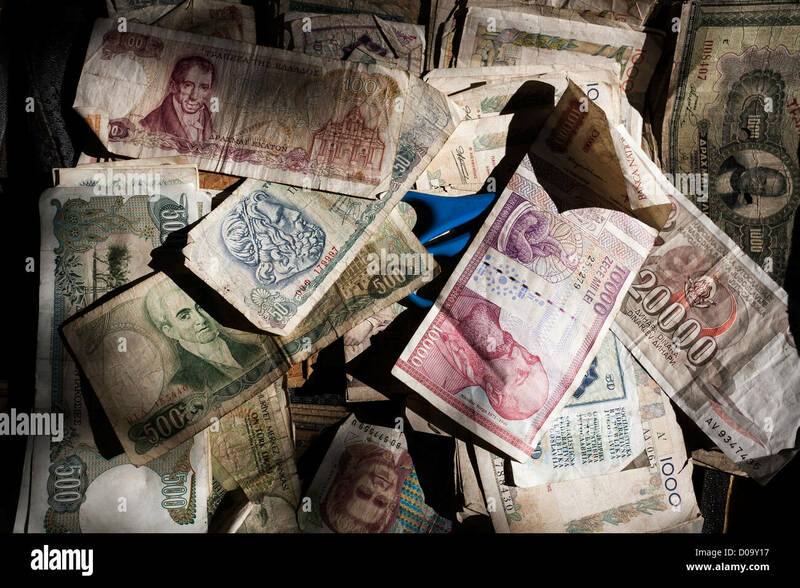 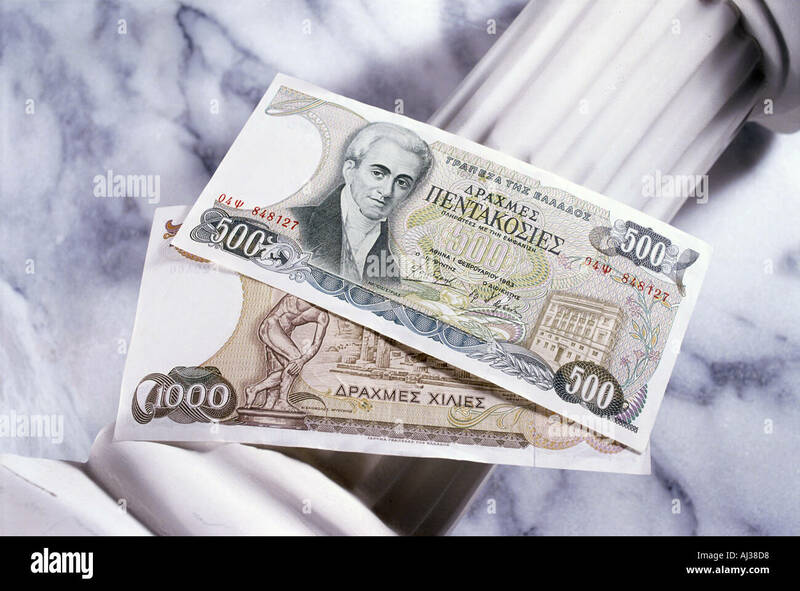 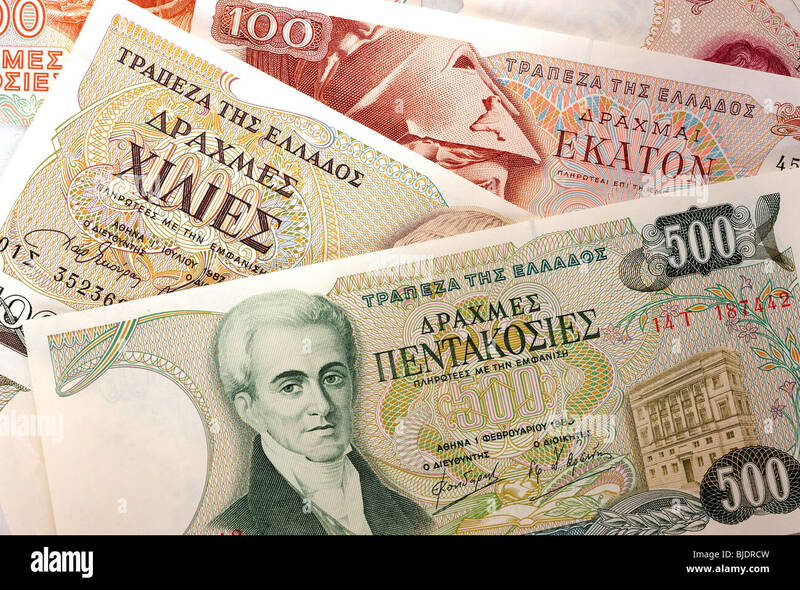 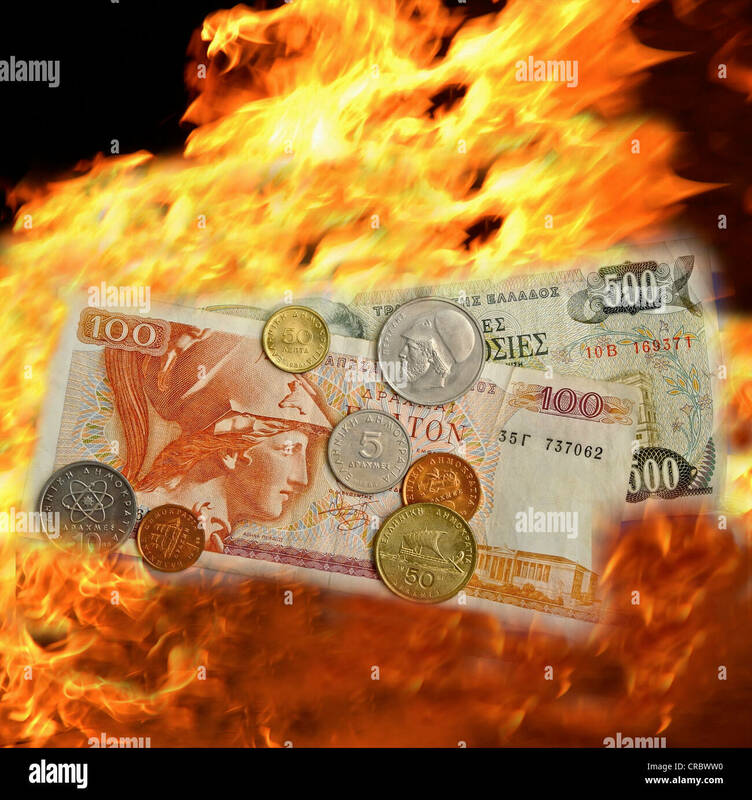 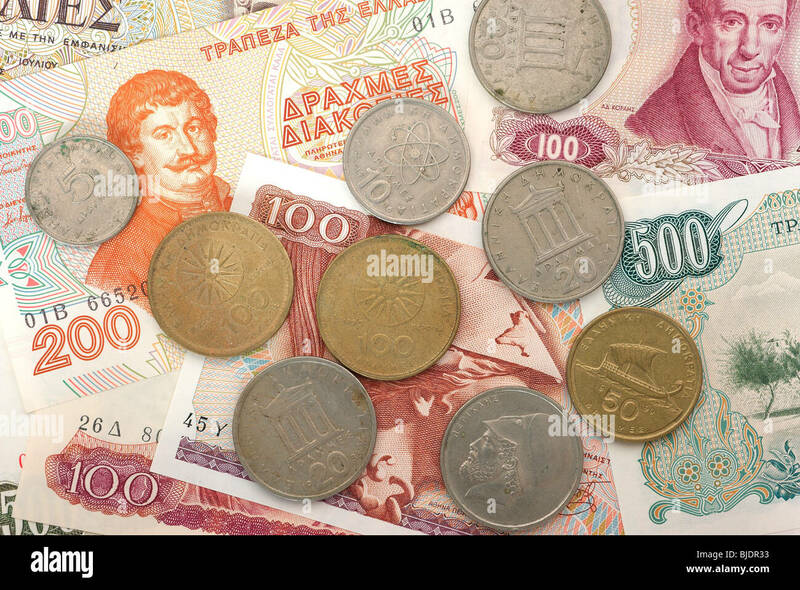 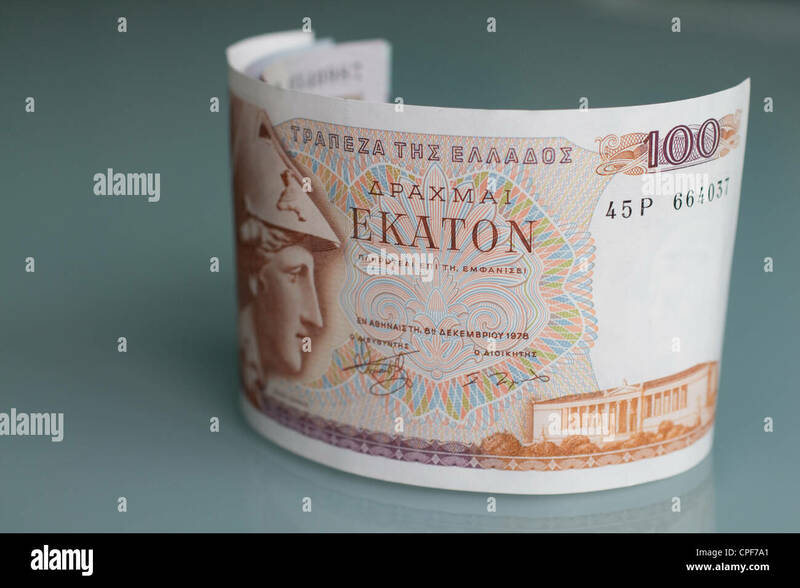 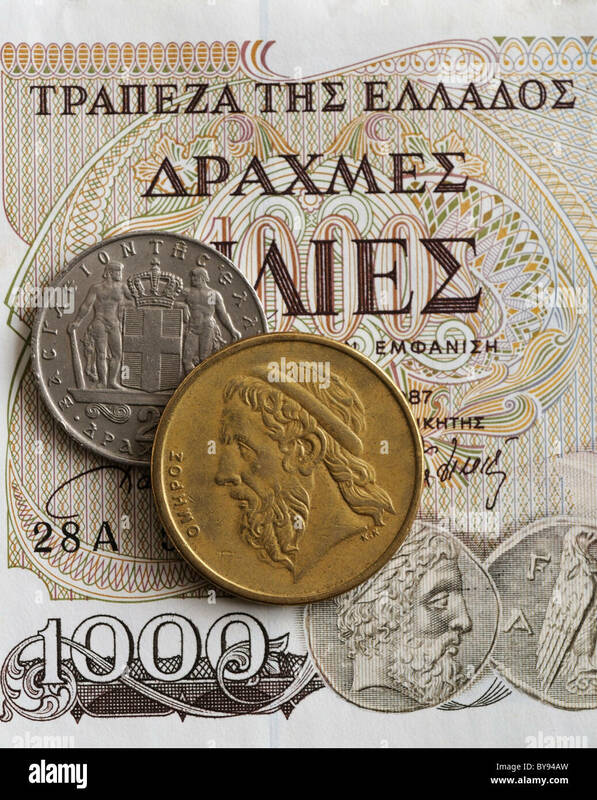 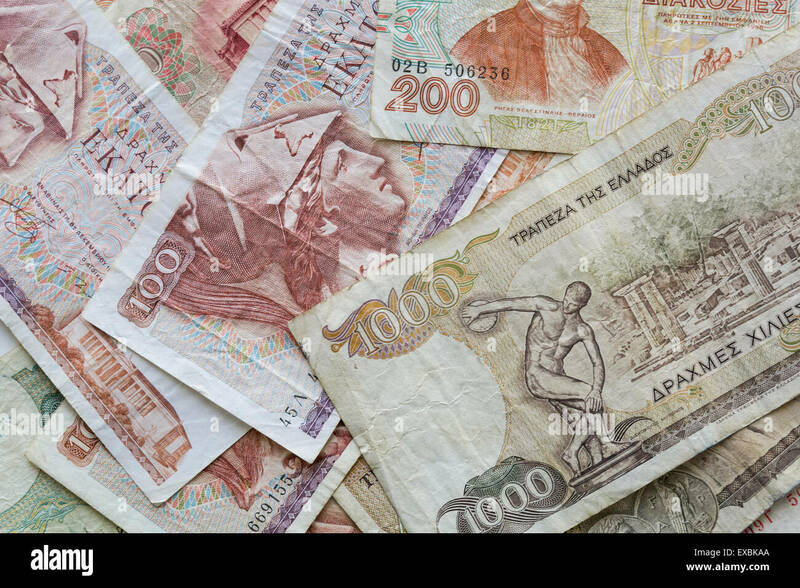 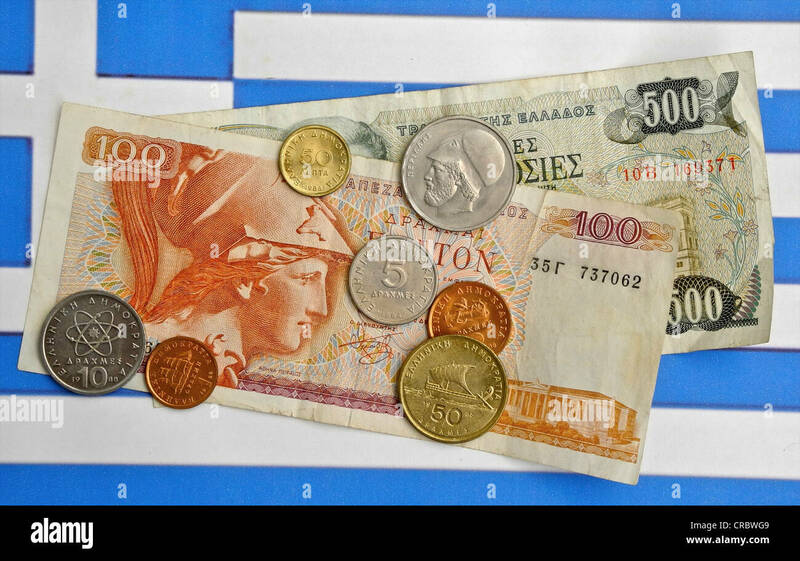 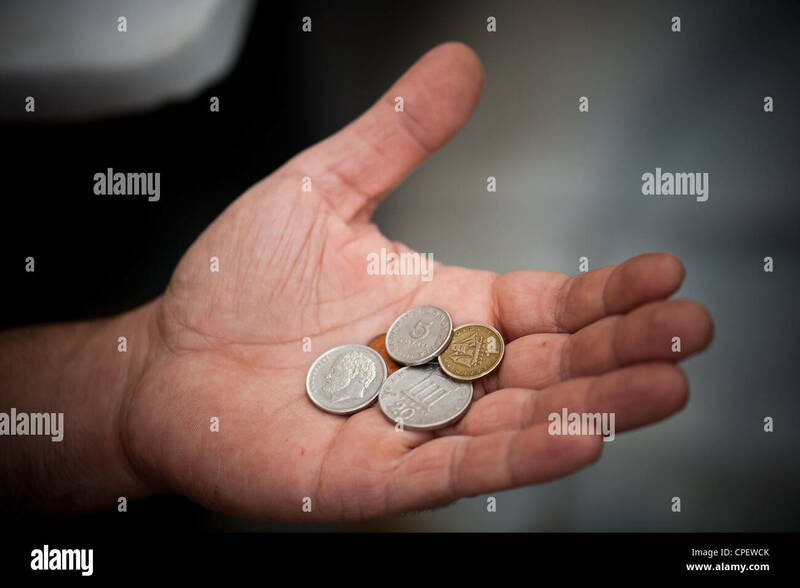 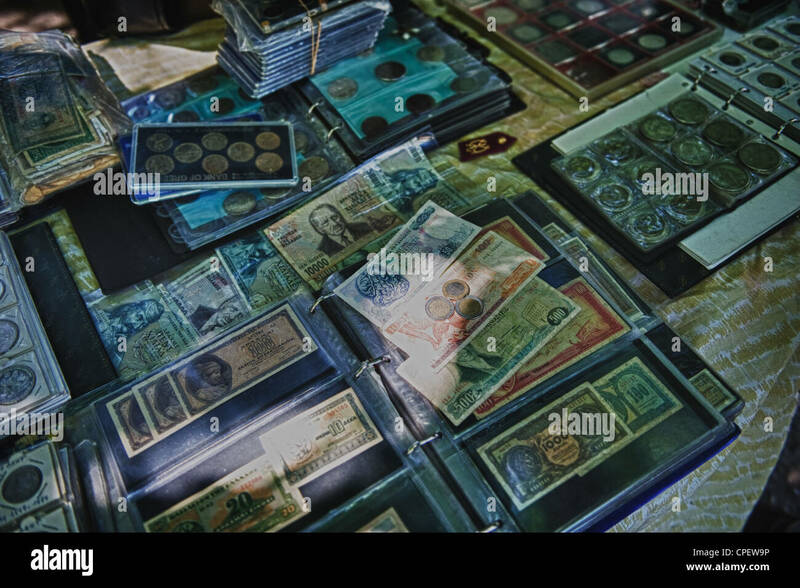 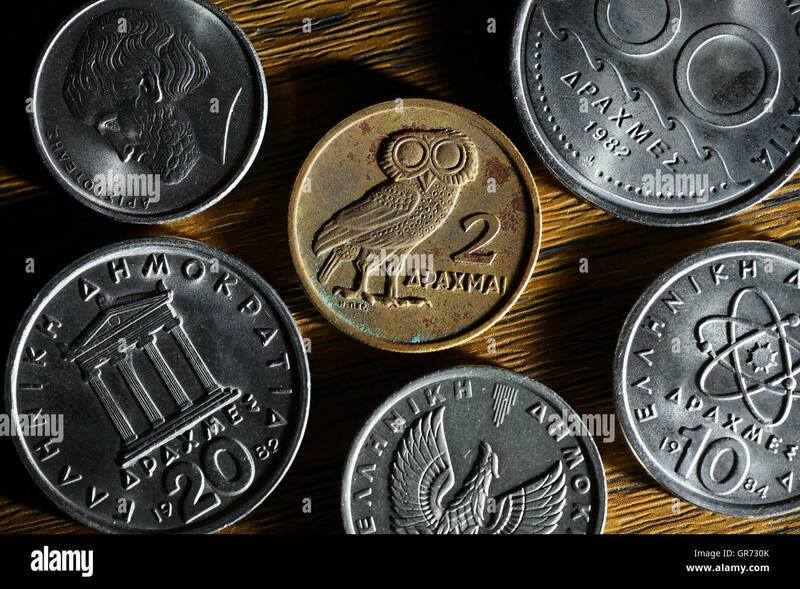 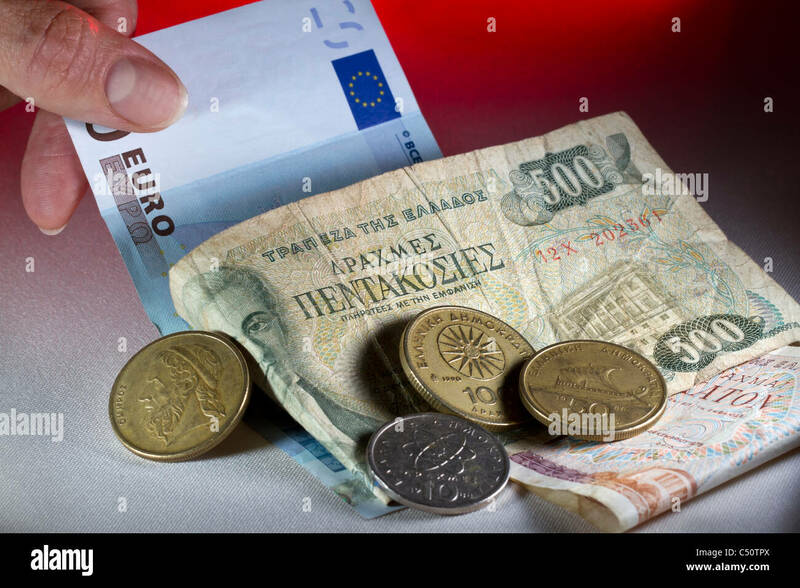 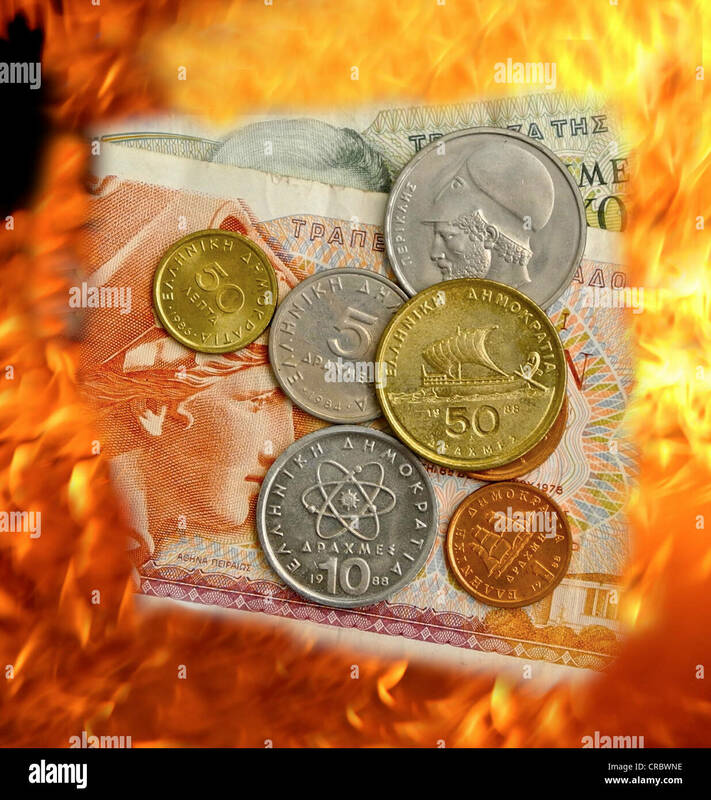 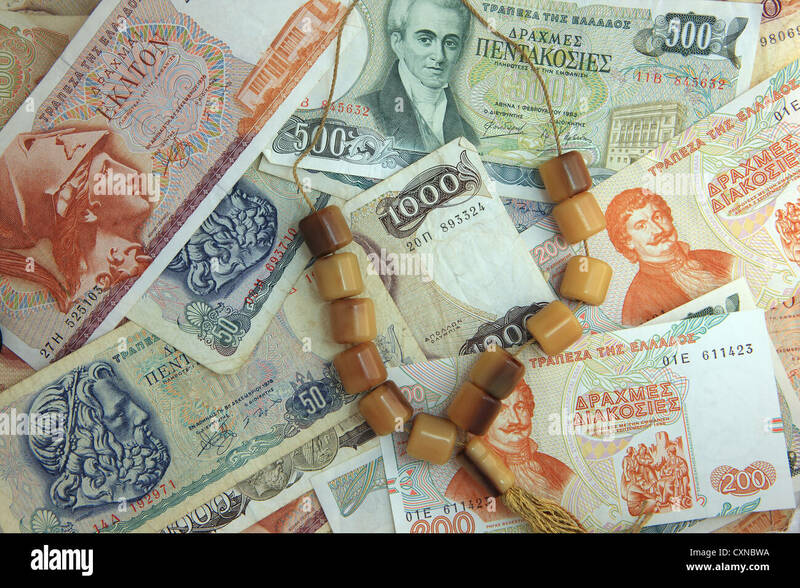 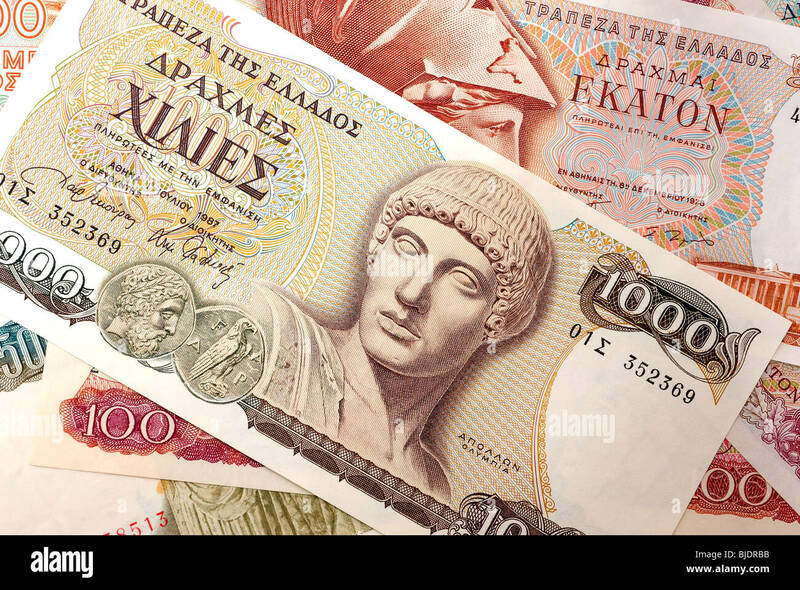 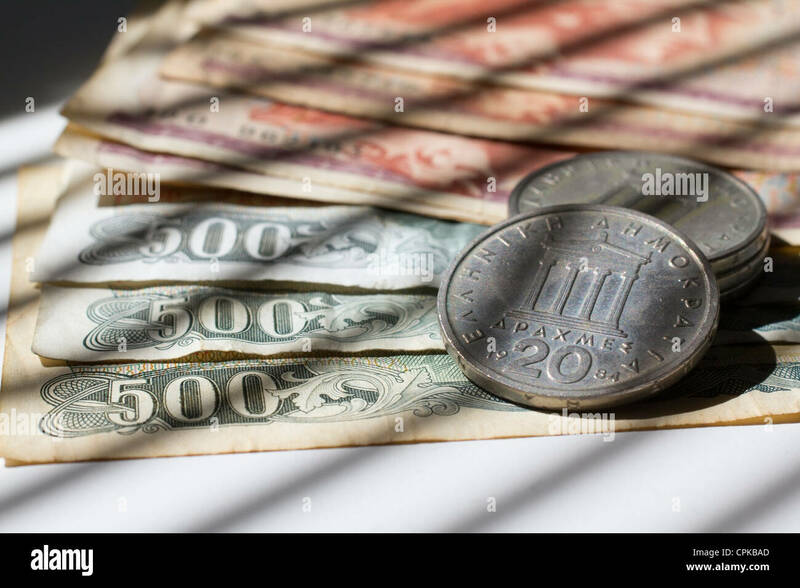 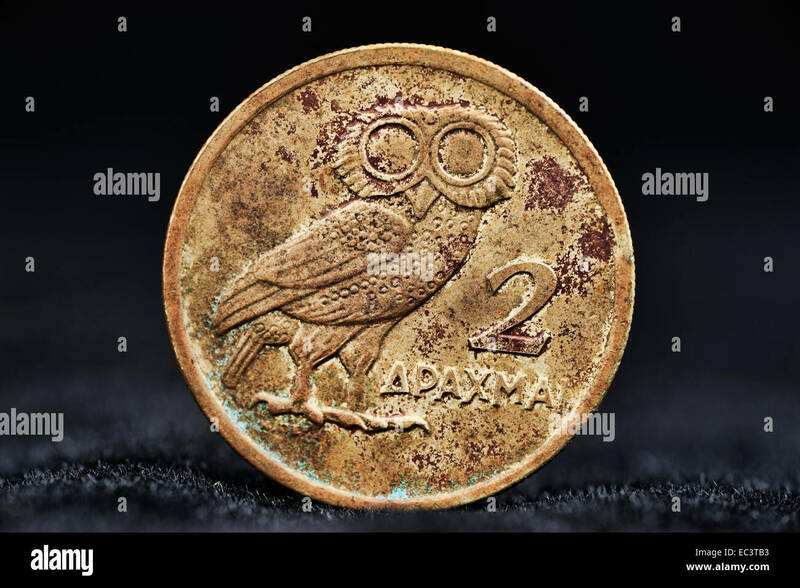 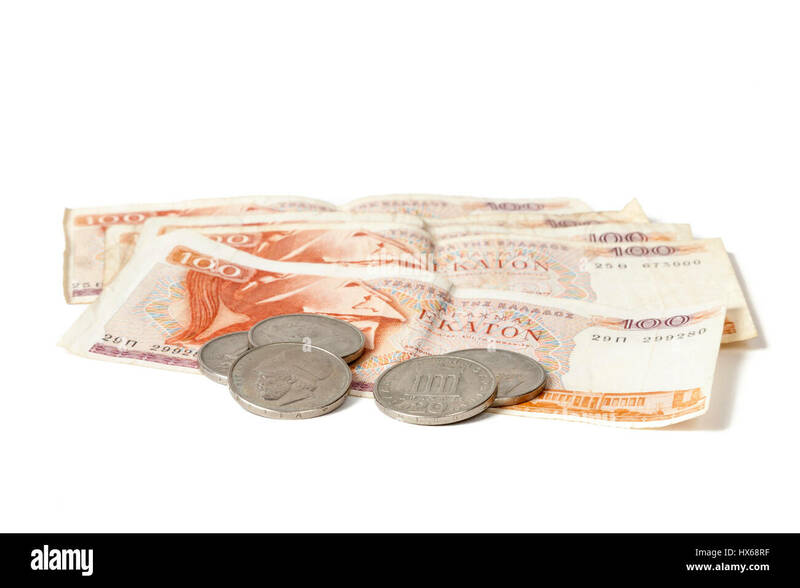 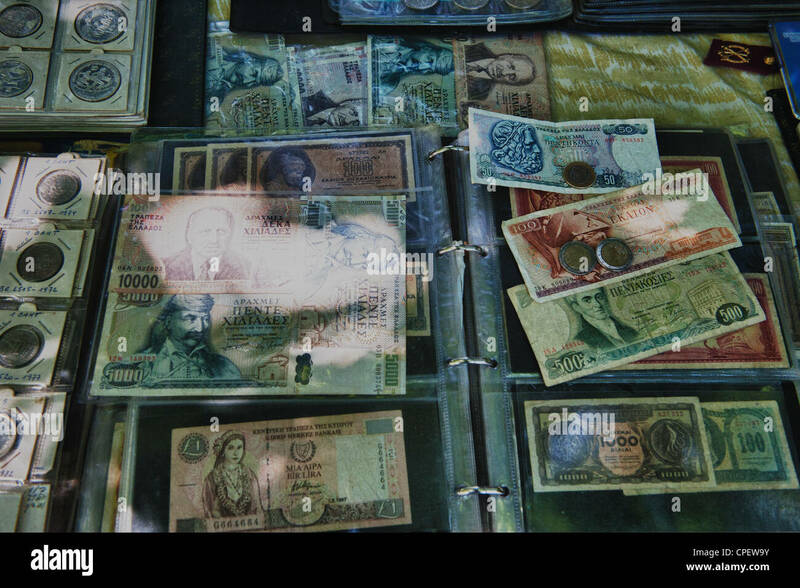 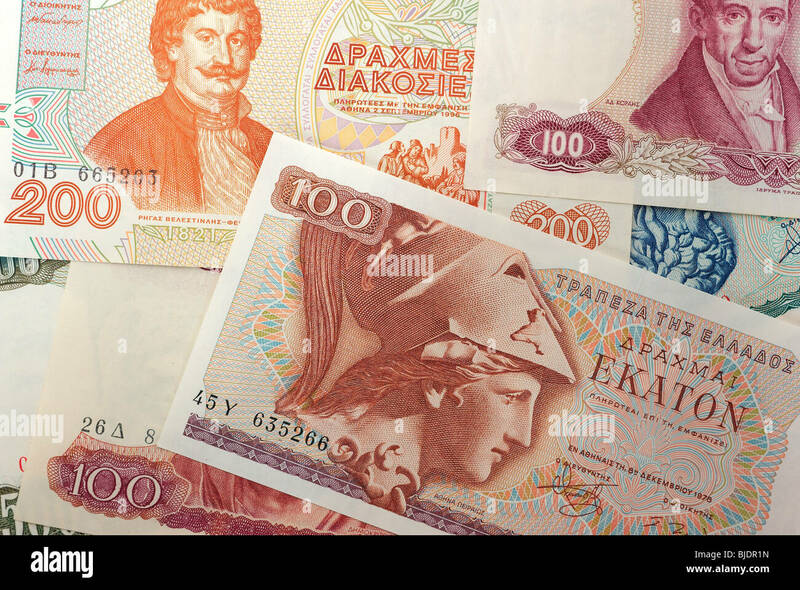 Greece could return to its old currency, the drachma. 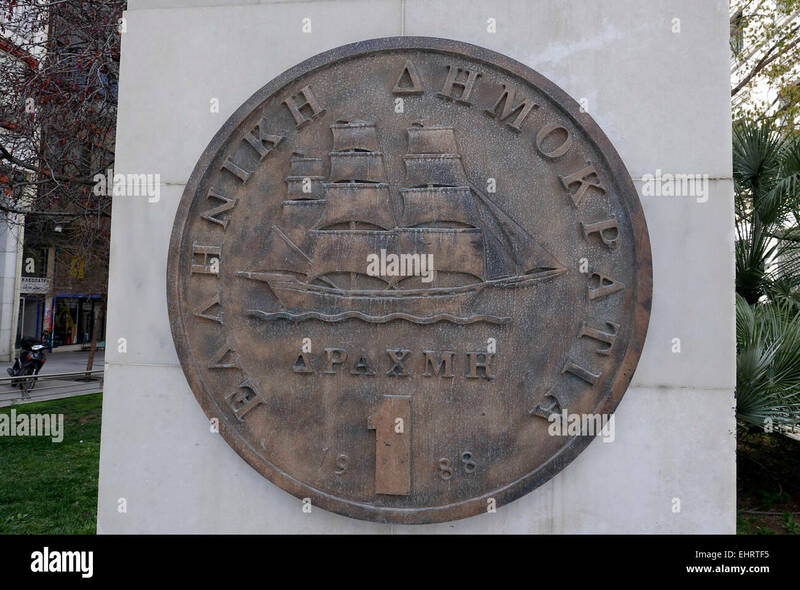 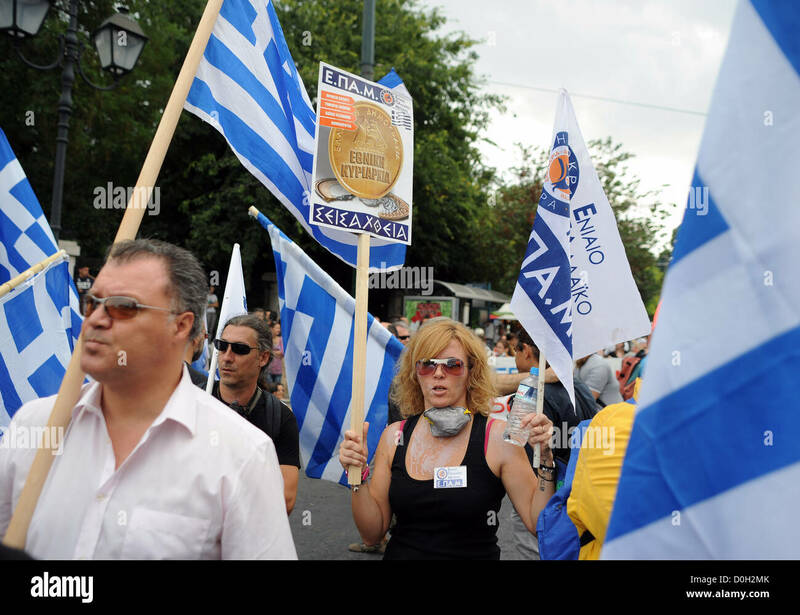 Greek people calling for a return to drachma during a protest in Athens' Syntagma square, in front of Greece's Parliament. 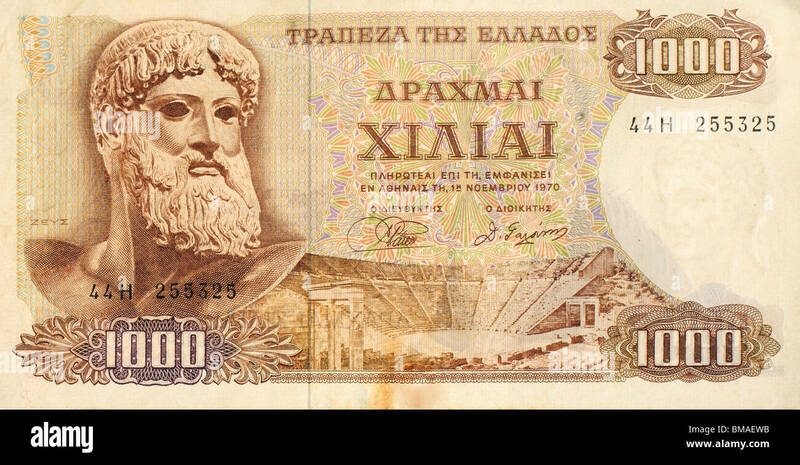 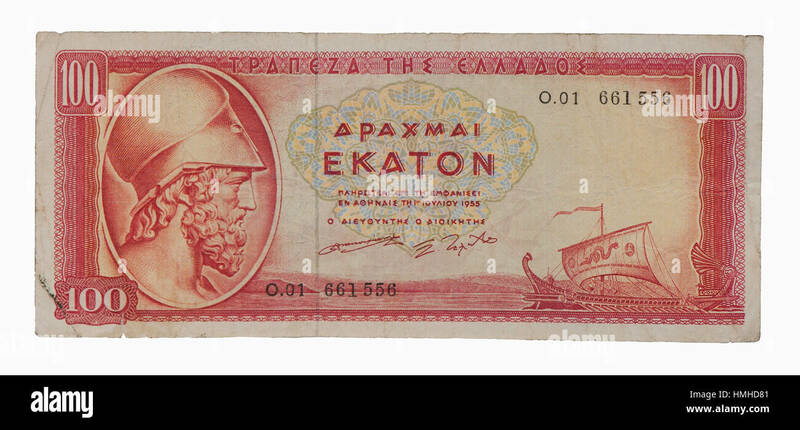 An old 100 Greek drachma note from just prior to the switch to the single european currency.